It’s May and the elegant Shad is moving up the River Severn in large numbers to spawn as they have for thousands of years. The arrival of the May fish (as it used to be known) was a big deal in centuries past and was celebrated by communities up and down the river. They not only saw the migration as a welcome sign of Spring but also as a vital source of protein after the hard winter months. Indeed, so plentiful was the Shad that their bodies were ground up and used as fertiliser as far up the river as Shrewsbury. This remarkable abundance came to an abrupt end in the 1850s and was a direct (but unintended) consequence of the construction of four huge weirs on the River Severn in Worcestershire. Built to enable large commercial boat traffic to access the growing industrial markets of Birmingham and the Black Country, they also formed an almost complete block to the Shad trying to get upstream. Within a few years of the construction of the weirs Shad had completely disappeared from the Severn north of Worcester. And so it has remained. Every May a population of fish which has been overwintering in the salty water in and around the Severn Estuary make a dash for their freshwater spawning grounds until they bash their heads on Diglis Weir just south of Worcester. They can go no further. A few manage to successfully spawn just below the weir and around the confluence with the River Teme but decent habitat can be measured in metres rather than the many kilometres out of reach above the weirs. Over the last 150 years the Shad has hung grimly on but thanks to a dedicated partnership of individuals and organisations which has been planning, persuading and plotting for years their fortunes may be about to change. The Unlocking the Severn Partnership has been successful in putting together a £20 million funding package which will enable the construction of fish passes on all the major weirs on the River Severn (and Teme). This will open up 250km of river to the Shad (and all other fish). Enough for even the most discerning spawners! 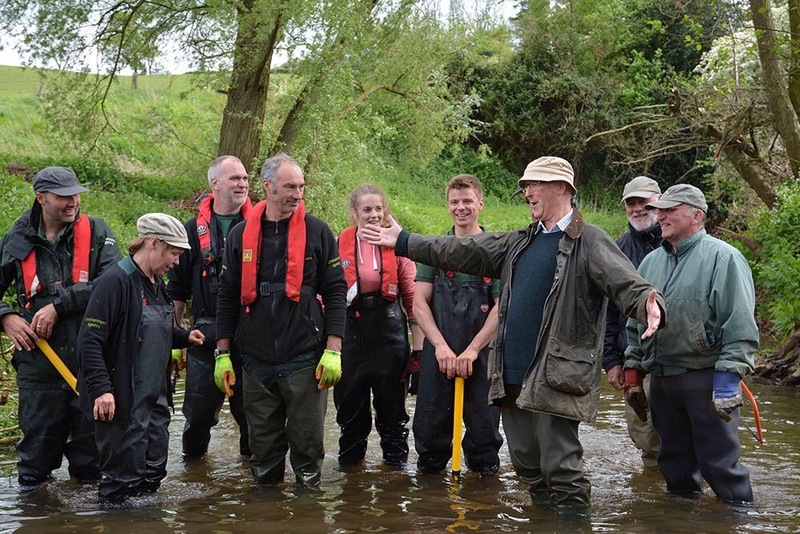 The money is available as a result of generous and essential contributions from the European Union LIFE Fund and Heritage Lottery Fund as well as from Partnership members (Canal and Rivers Trust, Severn Rivers Trust, Natural England and the Environment Agency). Shad at Tewkesbury migrating upstream – they won’t get further than Worcester! 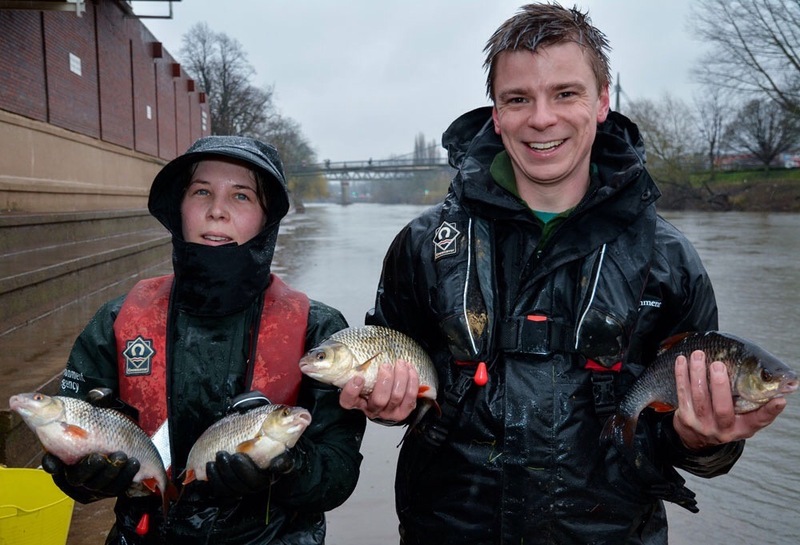 Unlocking the Severn is an almost unique opportunity and has been described as the holy grail of fish passage in the UK. 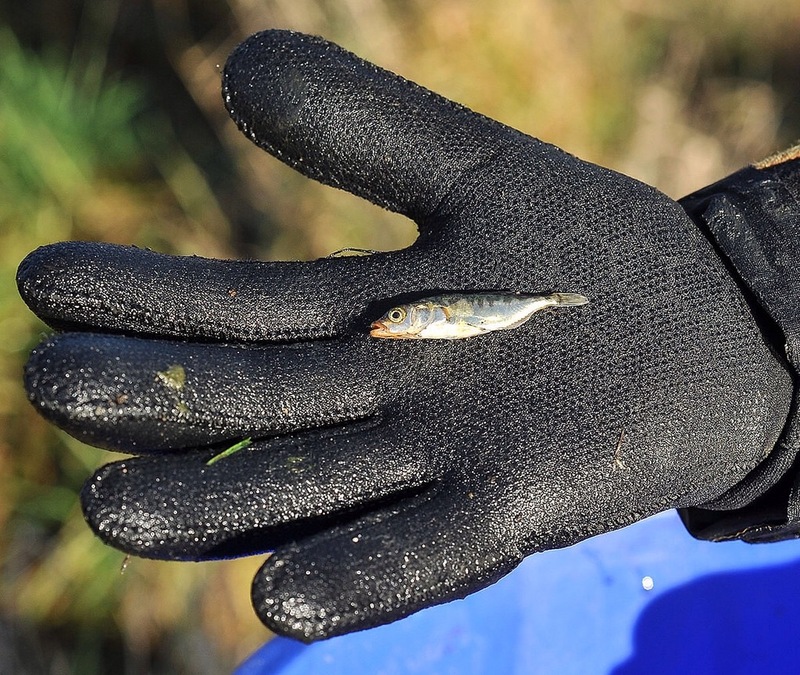 Because the Shad’s plight is purely the result of a physical block to migration and the huge area of excellent suitable habitat and good water quality upstream the partnership is very confident that once the passes are built fish numbers along the whole length of the river will recover very quickly. Similar projects involving fish passage and dam removal in other parts of the world have proved spectacularly successful. 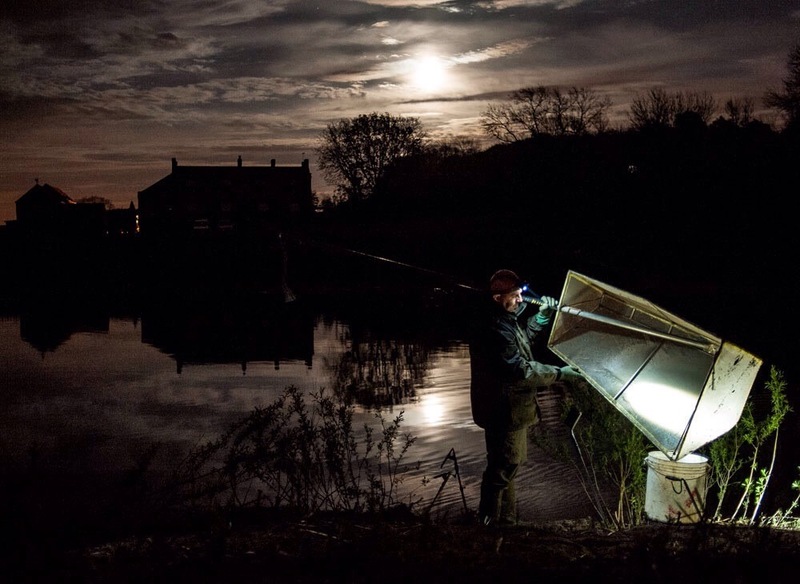 In Villaine in France five years after fish passes were installed the upstream Shad population went from none to thousands in 5 years and continued to grow to levels where commercial fishing is now allowed. But Unlocking the Severn is as much about people as it is about fish. The chance to see a population of native species recover from zero to thriving within a few years is almost unheard of, certainly in the UK. The project will seize that opportunity and provide the opportunity for millions of people to share the journey through a combination of citizen science, local events and social media. It’s also about reconnecting communities along the length of the river with their greatest natural asset. In centuries past people watched the natural cycles of the Severn with avid interest. 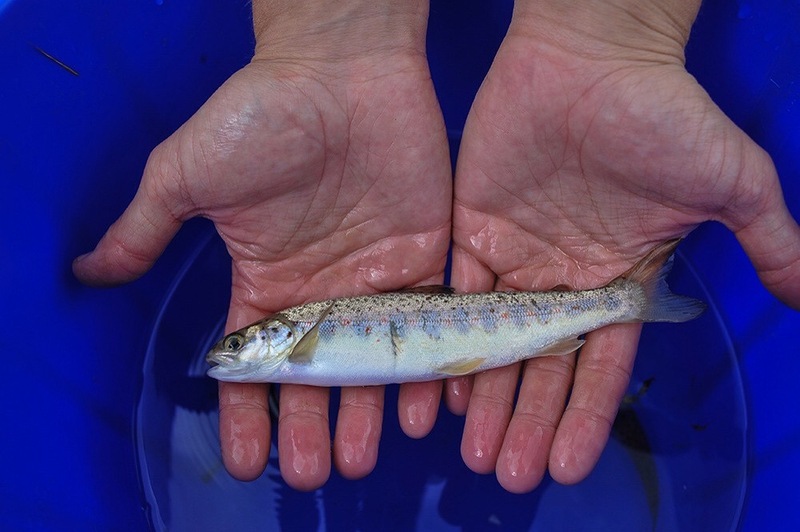 A returning fish species, hopefully in huge numbers, provides a new and fascinating reason to do so again. 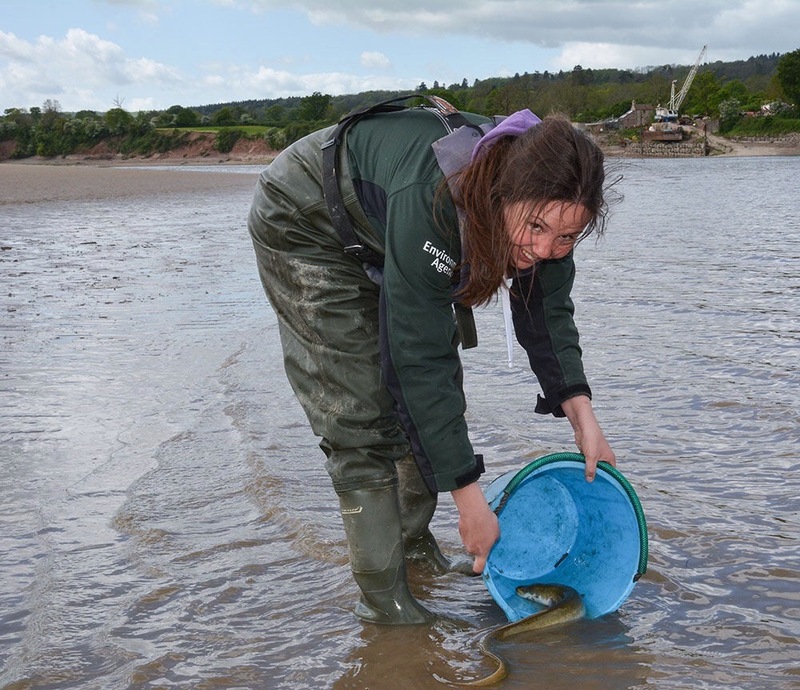 To start the public engagement process off, a series of fishy events was held along the Severn in April 2018. They were a massive success with thousands of local residents, school children and visitors enthusiastically taking part. 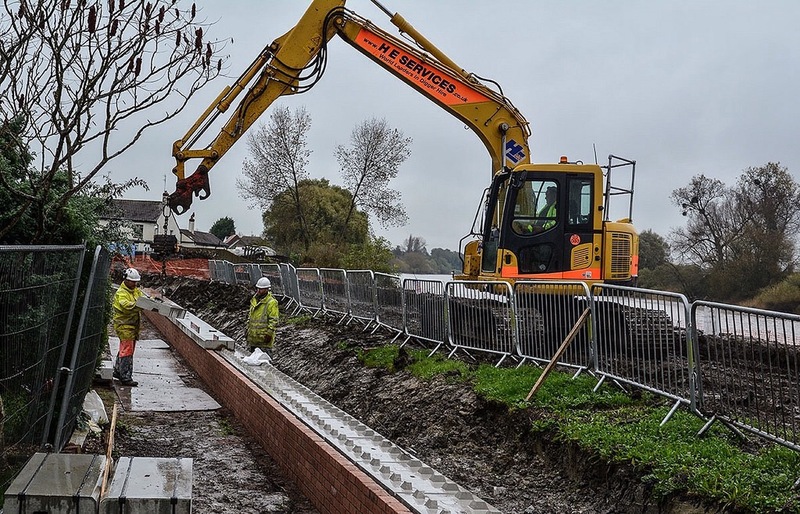 If the Unlocking the Severn final bid to Heritage Lottery Fund is successful work on the construction of the Severn fish passes will begin in 2019 and be complete by 2022. Watch this space. And watch those Shad! Soil and nutrients washing off agricultural land is the single most common reason for our rivers and streams not being as healthy as they should be. Across England it accounts for a quarter of the reasons for waterbodies not achieving good status under Water Framework Directive classifications. In Herefordshire where soils are very light and agricultural practices intensive the figure is a worrying 48%. Tackling the problem obviously involves finding out where the polluting runoff is coming from. This sounds simple but isn’t! River and stream catchments (the area of land that drains into them) are large. Often the runoff originates quite a distance from the polluted river or stream, finding its way by gravity via roads, paths, ditches and other fields. Also agriculture is a highly mobile industry. What is a bare arable field one year might be pasture the next, so the locations of high risk move around. To help us find the needles in the haystack we’ve turned to modern technology. And it’s working. Fields of bare soil with no growing crops or grass covering them are clearly much more likely to lose their soil. 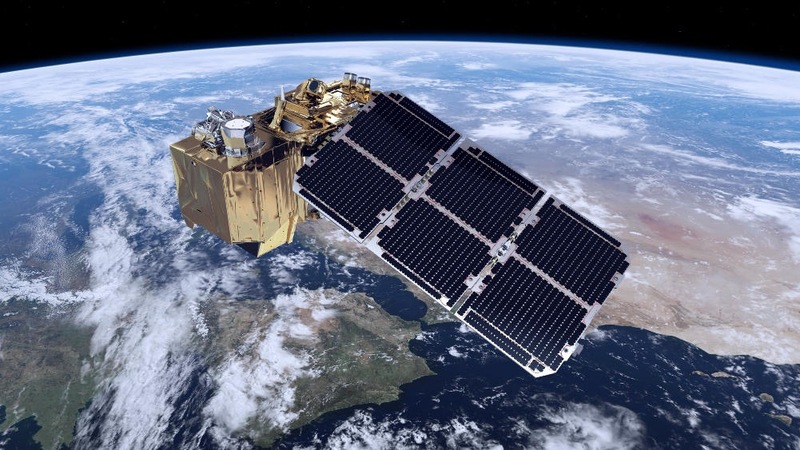 We can now identify where they are by using the excellent images from the Sentinel 2 satellite which was launched in 2015. It crosses the UK every few days so gives us an almost real time picture of land use, although we do have to have clear skies! 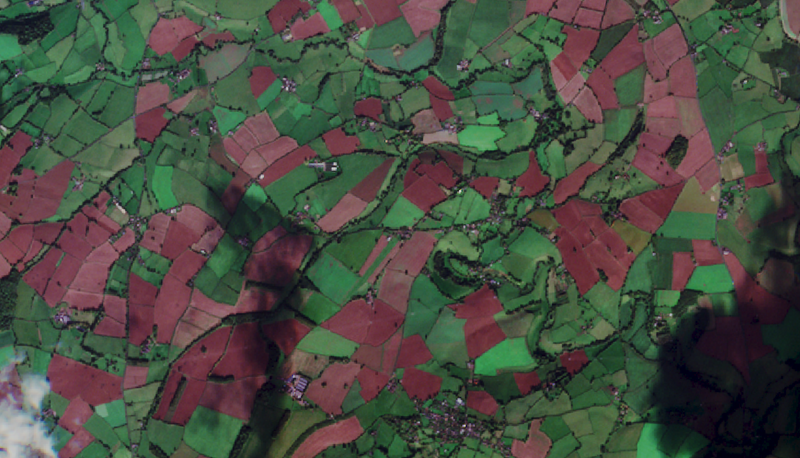 We can then overlay other useful information over the top of the satellite imagery which further narrows our search. 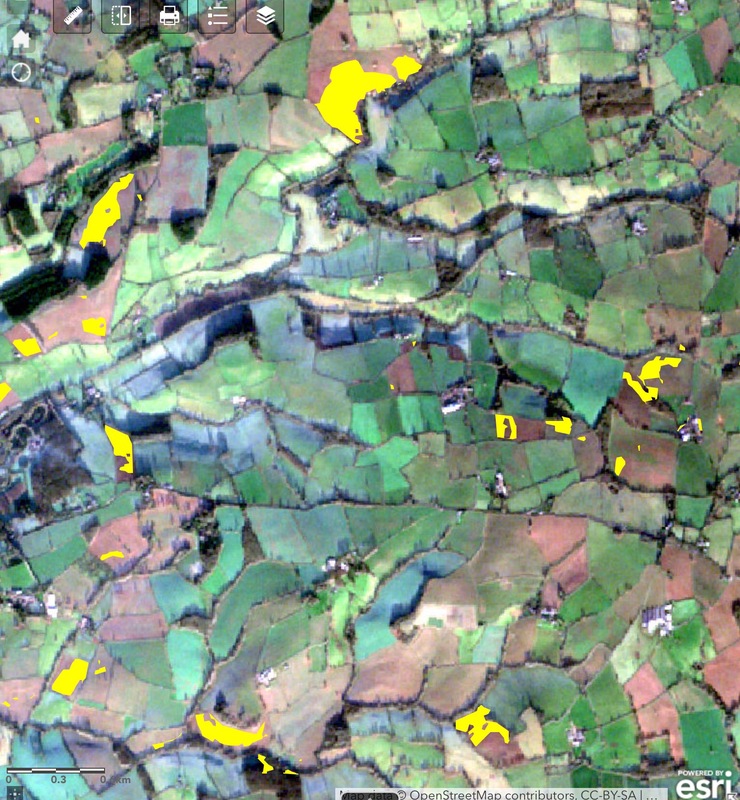 Environment Agency LIDAR data provides incredibly accurate information on the height and levels of land. For our search we identify all land that has a slope of more than 6%. This is because soil runoff is much more likely to happen when there is a steep slope. The next step is to overlay a highly detailed map of the river network. This includes tiny ditches and streams as well as larger rivers and gives a good idea of how soil and nutrients running off the land might find their way into the main river network. Finally we put on details of soil types. Light, sandy soils are much more likely to be washed off than heavy clays. 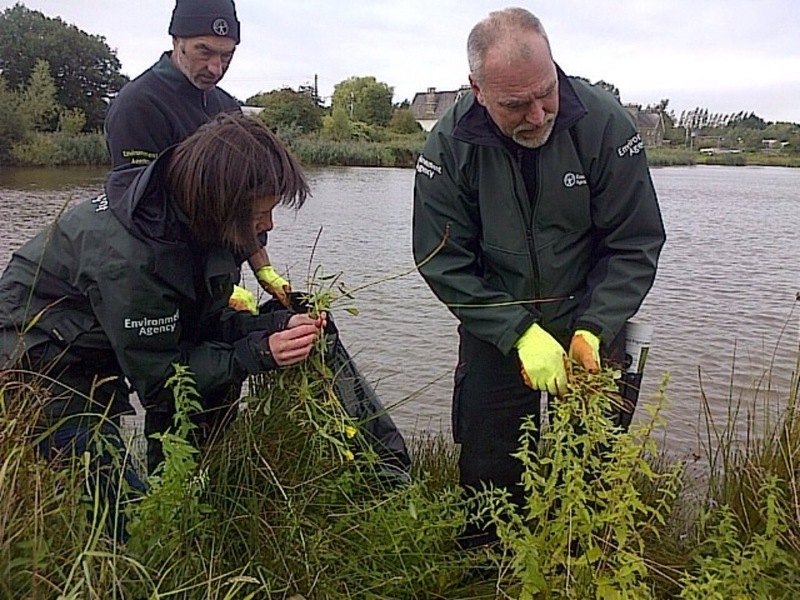 By doing all this we can massively reduce the area of the catchment we target for visits by our Environment Officers. 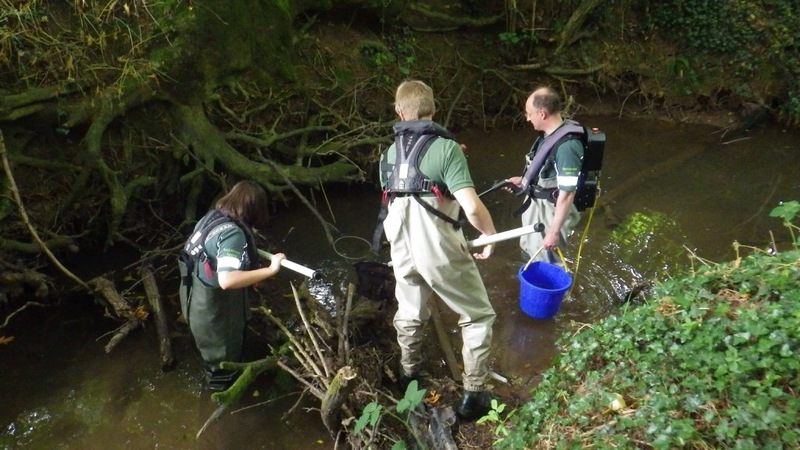 Our first trial over a whole catchment was carried out on the River Lugg in Herefordshire. 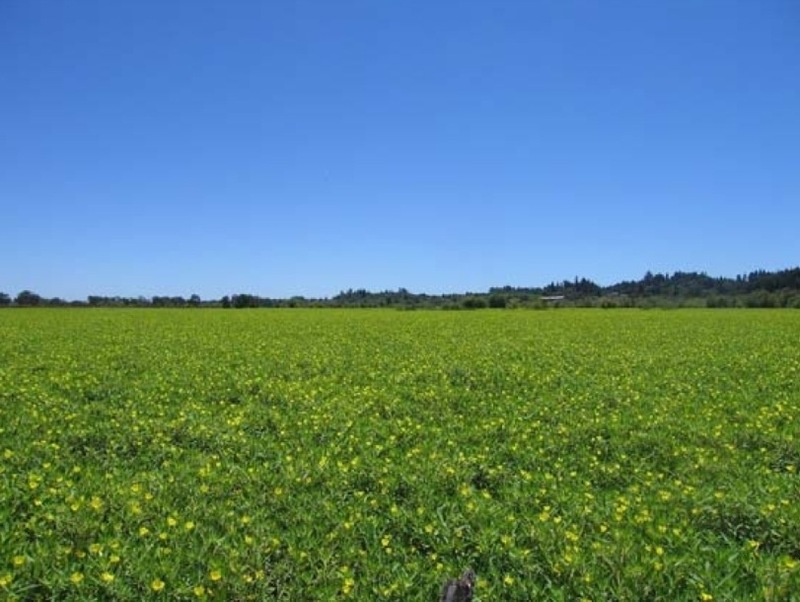 Its catchment has a total area of 170 square kilometres. Where to start?! 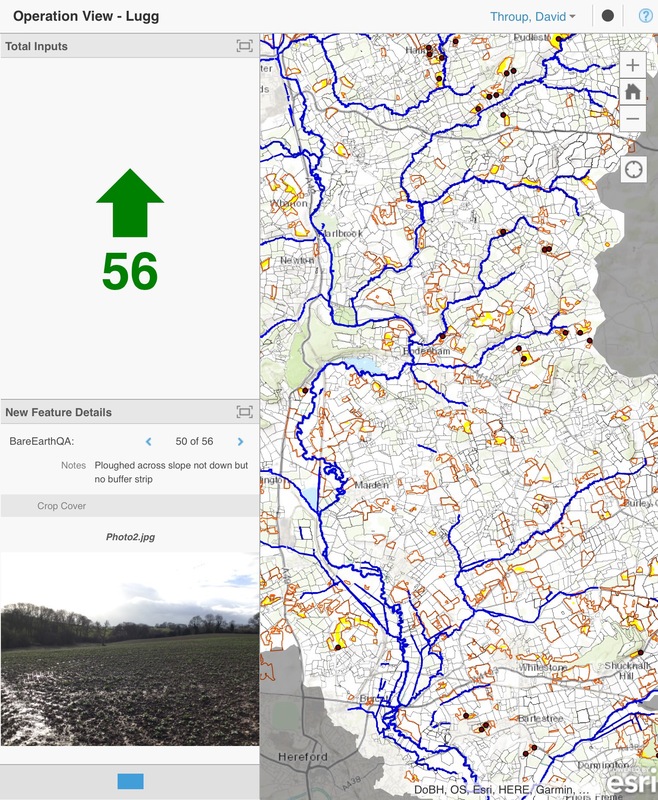 By selecting areas of bare soil from satellite data we reduced 170km to 30. A lot better but still a massive area to walk over! By overlaying data layers of steep slopes and soil types we got down to 6.5km and 50 discrete fields. That’s less than 4% of the total catchment area. Much more like it! Following some typical winter rainfall in early February we mounted an operation to send officers to visit each of the identified 50 locations. They were equipped with iPads (other tablets are available!) with pre-loaded maps and a specially designed app to upload details of what they found. This can include text, photos and video footage. A network connection allows details to be uploaded in real time, although if there’s no reception (fairly common in Herefordshire) data is stored and uploaded as soon as a connection is found. Data and images can been collated immediately and activity coordinated by the operation manager back at the office and also viewed, in real time, by other teams of officers at different locations. Initial results have been very encouraging. Of the 50 locations visited, 13 were assessed as presenting a high risk of causing immediate pollution problems. 5 were actually causing pollution at the time of the visit despite only relatively small amounts of rainfall. During the period of the operation no high risk fields were found that hadn’t been highlighted by our targeting system. We will be contacting all the owners of the 13 high risk locations soon. 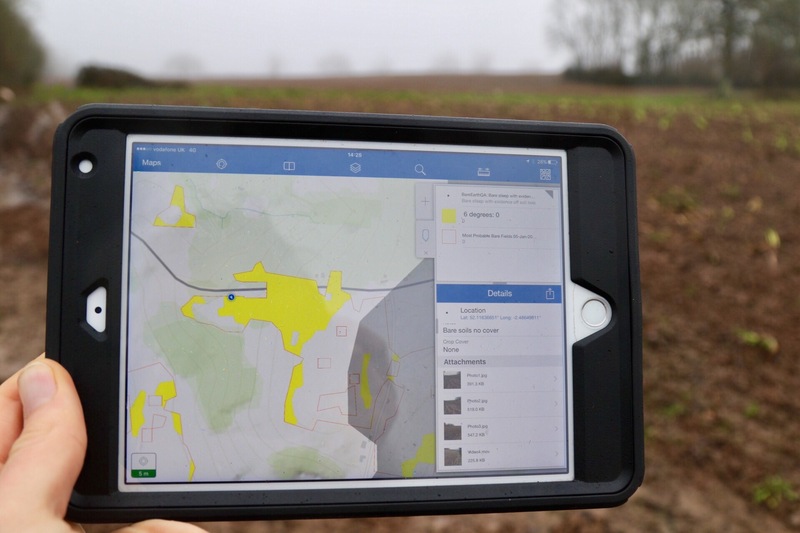 Perhaps the most encouraging aspect of the technology (in addition to its accuracy) has been the reaction of our staff who are using it, several remarking it’s revolutionising the way they’re working and making their job far more productive and rewarding. This is just the start of our journey in using data and technology together in the field to more accurately target our agriculture inspection and regulatory work. It should bring benefits both to the environment and the industry. 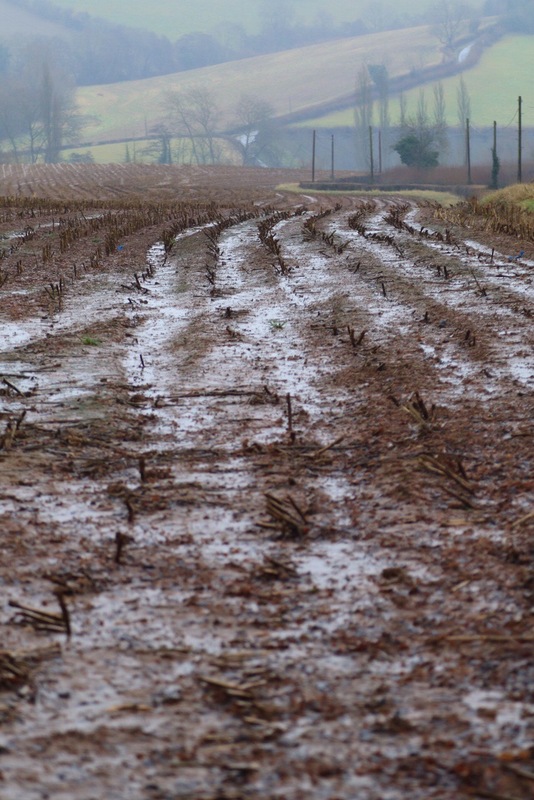 Soil washing off fields is an increasingly common problem across the UK. 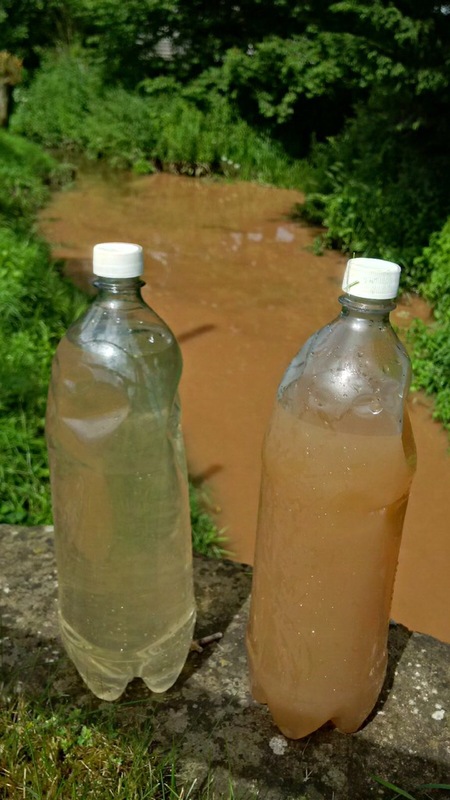 Not only is it a waste of a precious, non renewable (at least in sensible timescales) resource, it causes serious pollution in rivers and streams and dangers to road users. More intense rainfall and increased intensification of agriculture appear to be making matters worse. 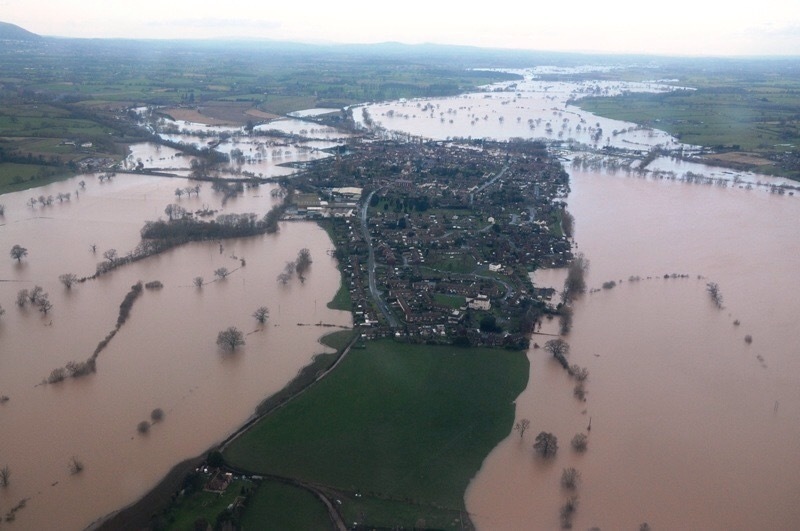 Herefordshire is especially vulnerable. 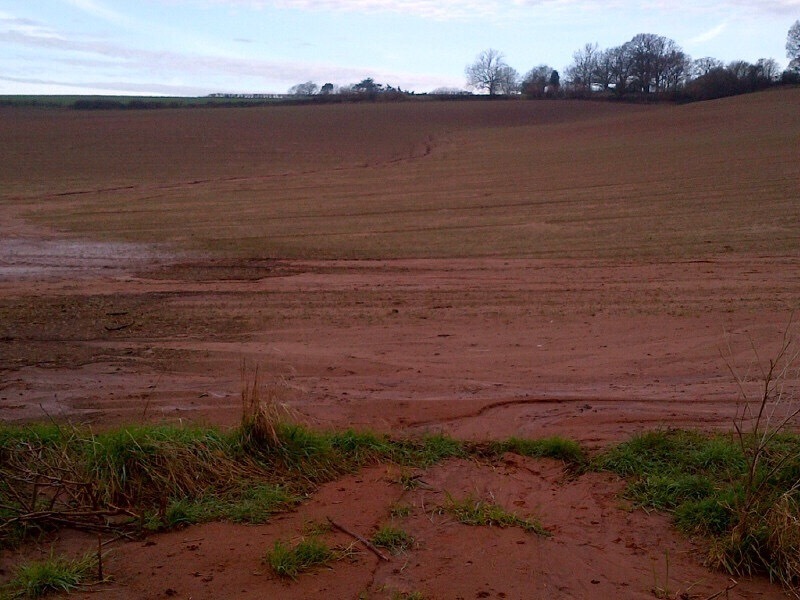 The fine red soils which give the County much of its landscape character, are easily mobilised by heavy rain and the undulating terrain means it can move quickly and over long distances. 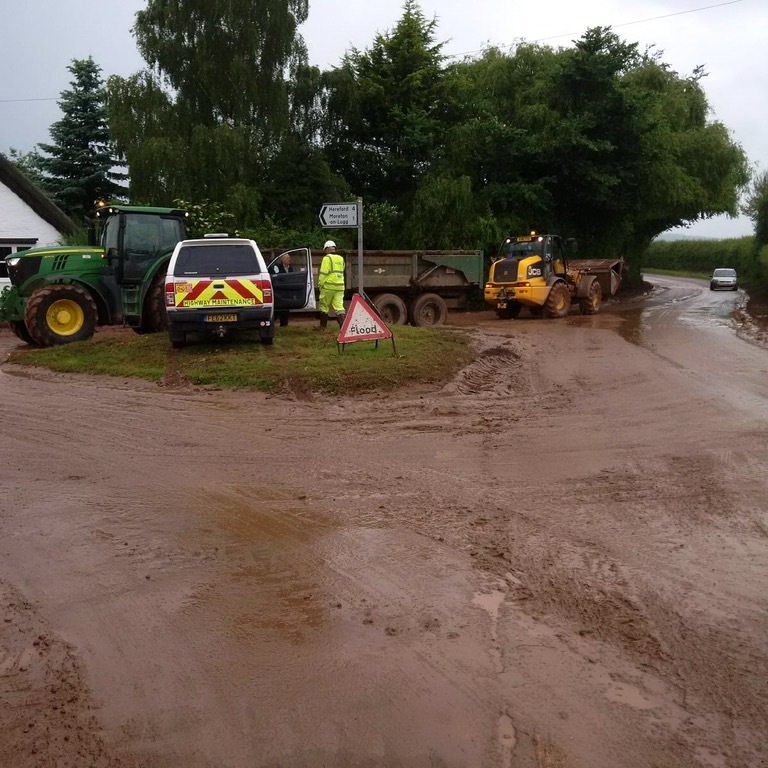 On 15 June, a number of heavy but localised showers and thunderstorms in Herefordshire resulted in tonnes of soil being washed from many field onto roads, then into ditches and streams. 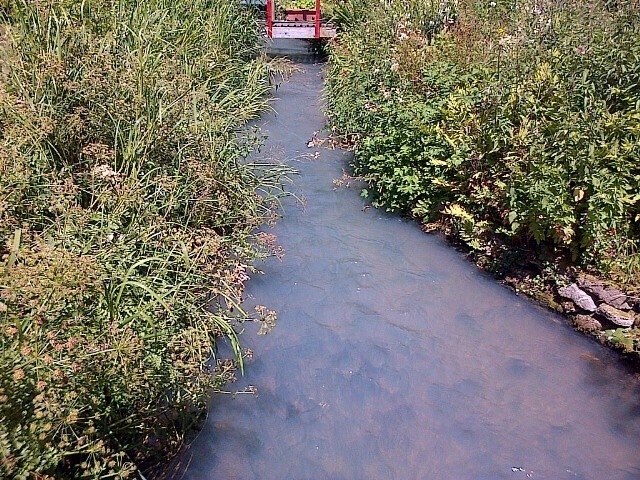 This resulted in some of the larger watercourses, like the River Lugg becoming discoloured through increased turbidity. Levels of nutrients, for example phosphate would also have been raised significantly. The main areas of concern are where steeply sloping fields have been cultivated next to watercourses, especially potatoes, maize and soft fruits grown under plastic. Here the risk of soil erosion is much higher. We have identified many of these locations using Light Detection and Ranging (LiDAR) information, aerial photography and field surveys. Because agriculture is so dynamic we need to keep reviewing this information. What is a high risk maize field one year might be low risk pasture land the next. 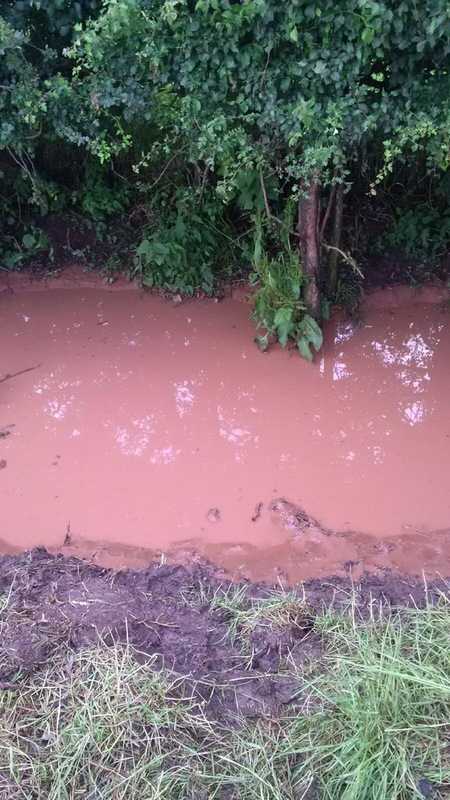 These higher risk sites were shown to be washing significant quantities of soil during Wednesday 15 and Thursday 16 June with significant impacts to roads and watercourses. It is not just the Environment Agency that is concerned about soil washing off. Local Authority Highways are particularly concerned about this issue. 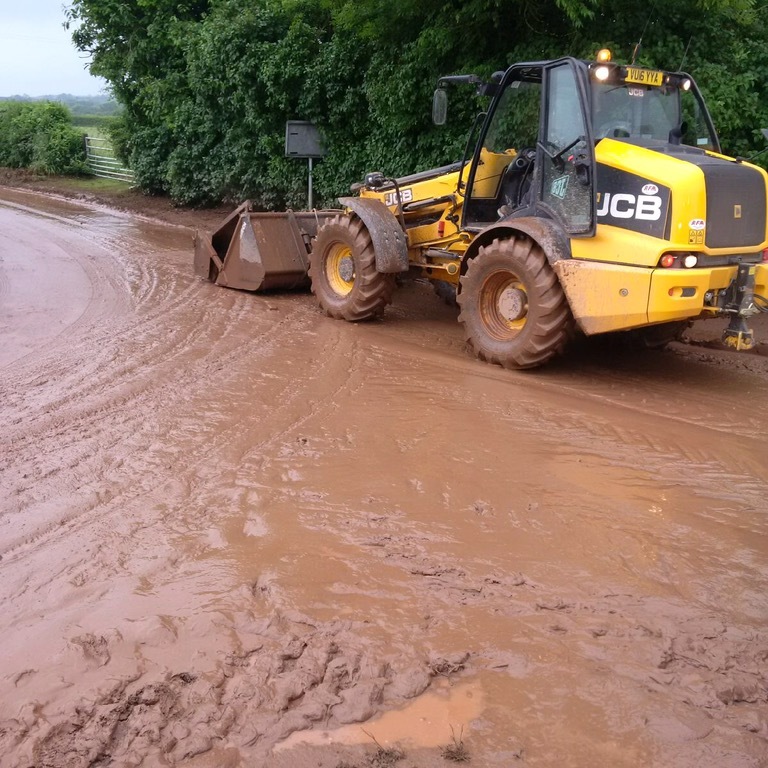 Putting aside the obvious road safety issues associated with mud on highways, the cleanup costs from soil on roads can be very significant for Local Authorities, who will seek to recover these costs from landowners wherever possible. 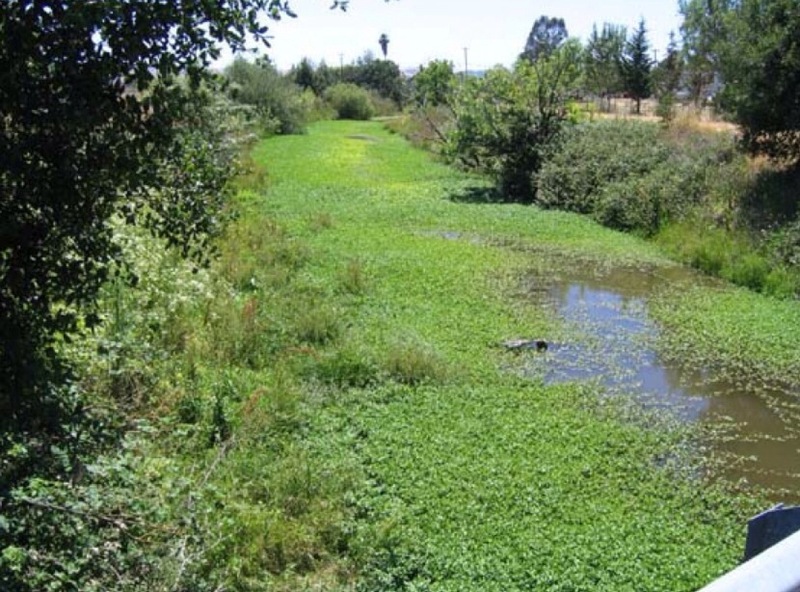 Increased runoff from fields also increases the risk of flooding to local properties with floodwater depositing large quantities of sediment onto private land . 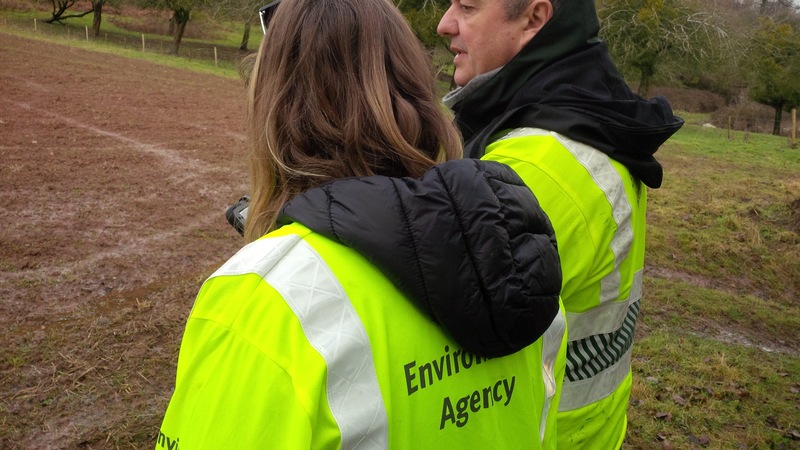 As Regulators, we have been working to identify high risk sites, where soil run off is likely to be most significant and where risk to local watercourses is greatest. 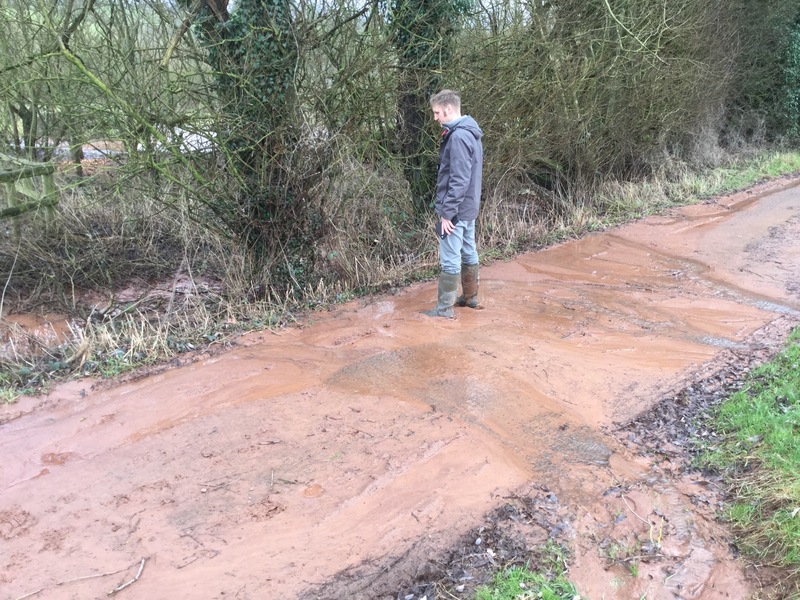 After rainfall events we gather evidence and information that we use for future enforcement and prosecution action and to refer sites to the Rural Payments Agency, where a breach of the soil standards in England have been identified under cross compliance. 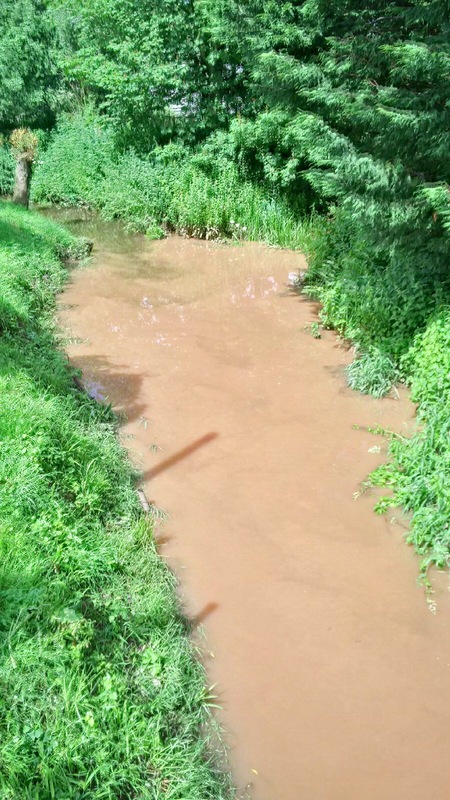 If you see large amounts of soil washing off into local streams please report it on our 24 hour incident hotline 0800 80 70 60. 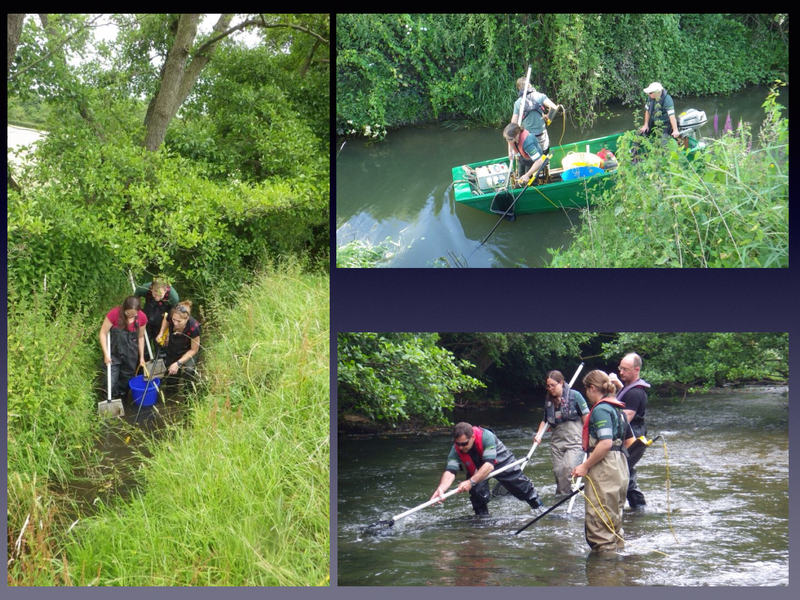 On the 6th July we electric fished the Suckley Brook at Longley Green, Worcestershire as part of our routine sampling programme. Sadly the results were abysmal, we caught 2 x 3 spined stickleback and 1 large eel in 100m stretch. The reason? 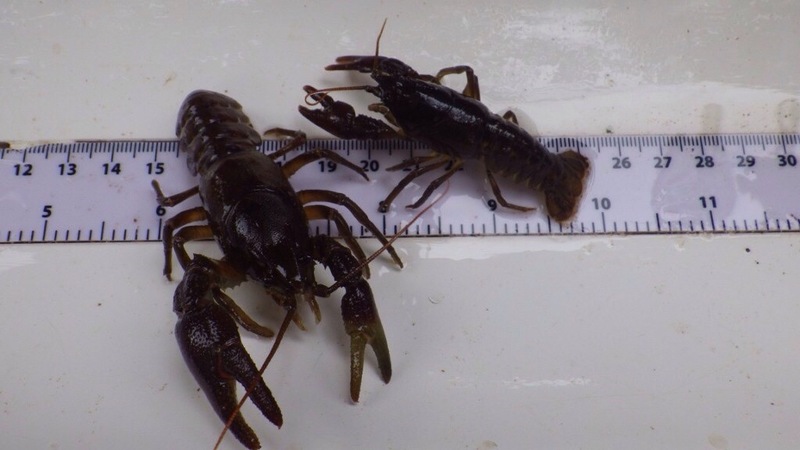 Signal crayfish, large and small. Every time we tuned the current on there they were. We caught and dispatched what we could but they appear to have decimated the watercourse as they’ve eaten much of the insect life and the fish fry leaving a very barren stretch. 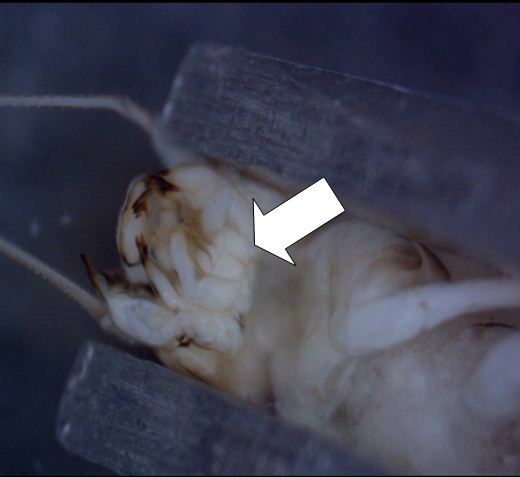 This non-native species was first introduced to Britain in the 1970s and has spread to many of our rivers and streams. 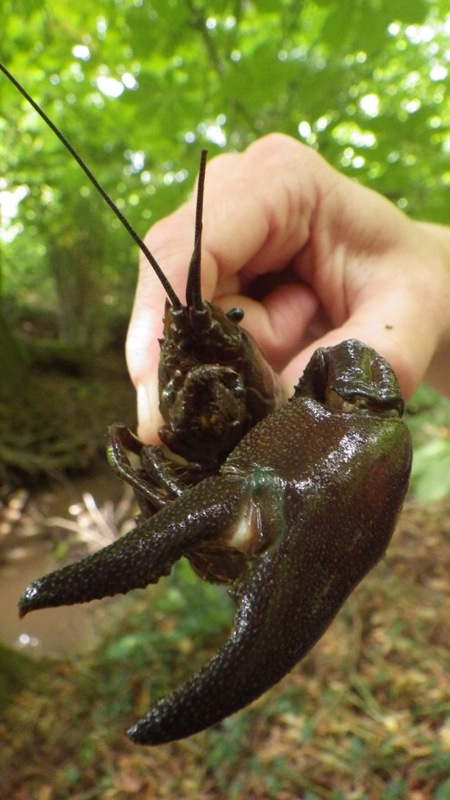 It out-competes our native white-clawed crayfish and, as our survey shows, can have serious impacts on the local freshwater ecology. It was a sad sight to be hold. We’d hoped trout would be hiding under all the large woody debris but alas nothing. A conveyor belt of storms, pushed along by a supercharged jetstream, led to prolonged and widespread flooding across much of England during the first two months of 2014. 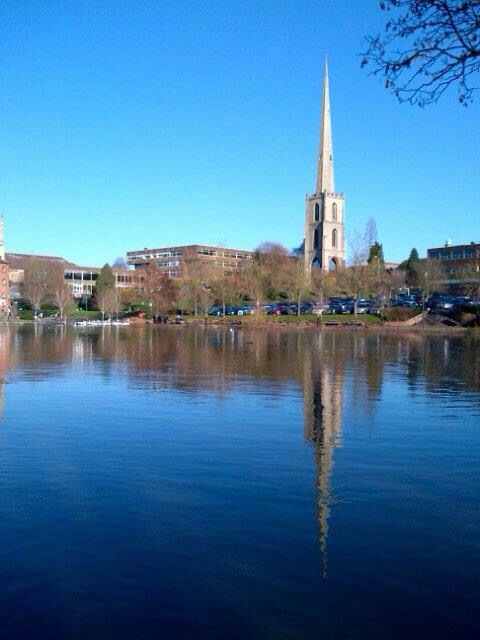 Our incident room in Tewkesbury was open 24/7 for 63 days between Christmas 2013 and the beginning of March. 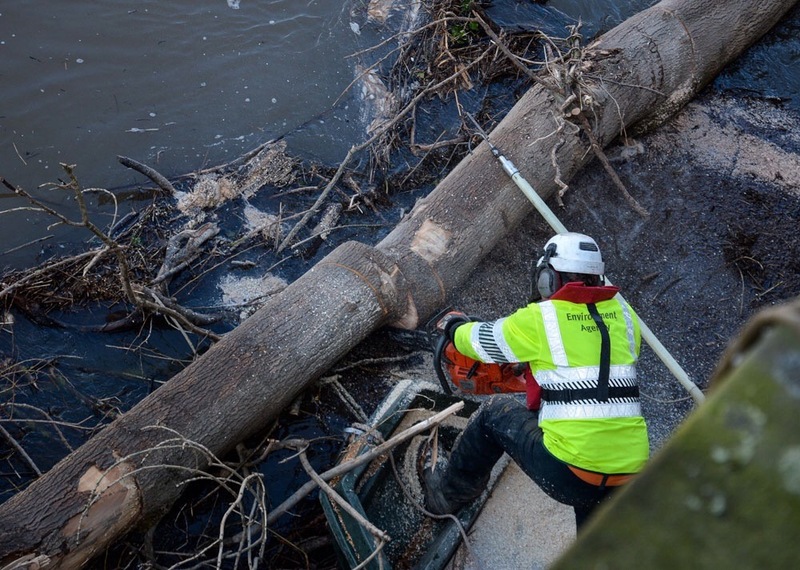 Across the Severn and Wye catchments hundreds of flood warnings were issued, barriers went up and down, river blockages were removed, reappeared and removed again. Our 250 local staff were pushed to the limits. I’ve seen bigger floods but never one as long lasting! As 2014 started our immediate concerns were high tides and surges in the Severn Estuary rather than conventional river flooding. Storm systems barrelling in off the Atlantic were pushing water up the funnel of the Estuary and this was coinciding with very high tides. Our flood defences protected thousands of homes along the Estuary but in a few locations the water was so high it came over the top, causing flooding behind. The power and speed of this type of flooding is awesome. Water levels rise very quickly and once water comes over the top of flood banks it travels a long way very fast! 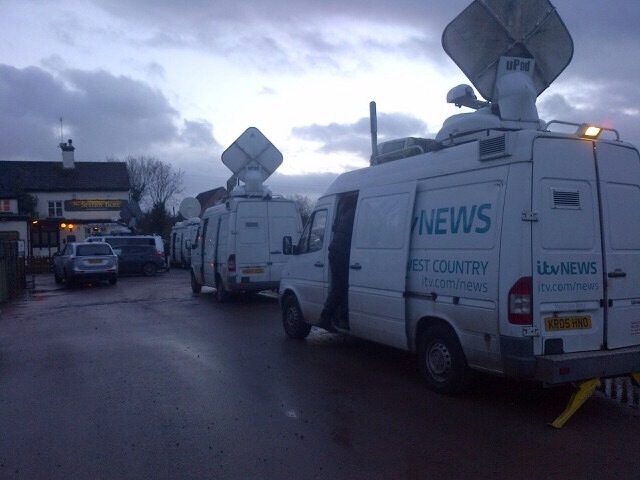 I spent several days around Minsterworth just below Gloucester servicing the demands of a voracious media pack which took up residence around the appropriately-named Severn Bore pub (which was flooded). 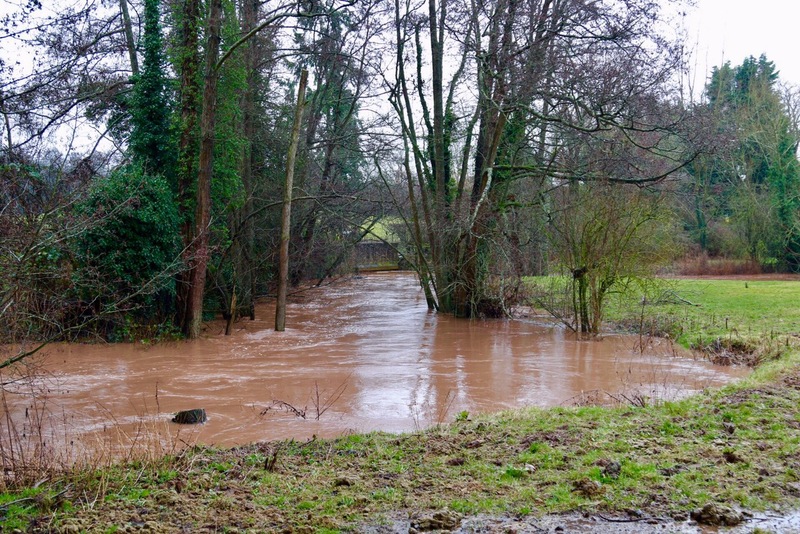 The tides receded soon after New Year but there was no time to relax as river levels were rising rapidly on the Severn upstream of Gloucester as a result of prolonged heavy rainfall. 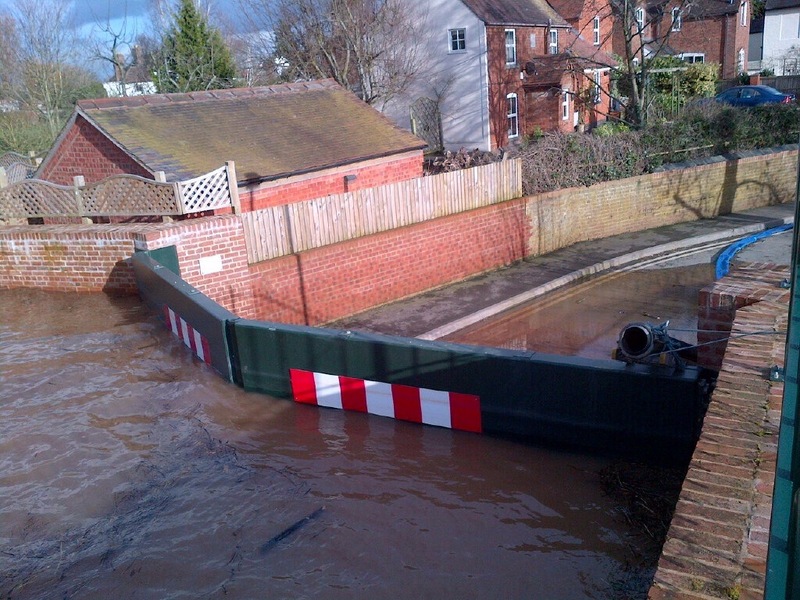 Our flood barriers started going up at Bewdley and Shrewsbury and flood warnings became more frequent and widespread as the rain kept coming. 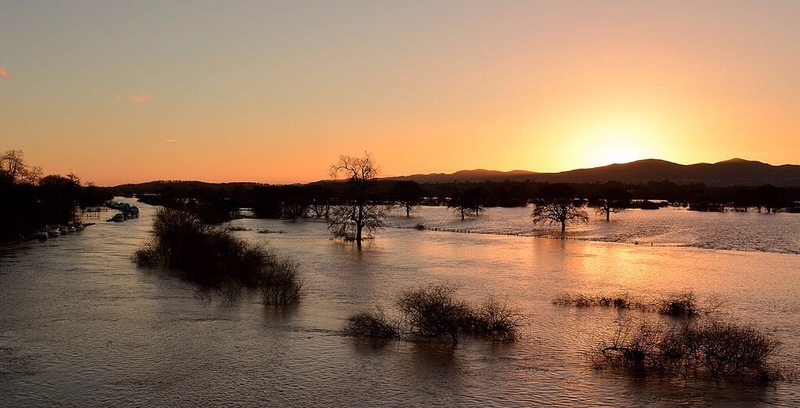 A brief respite towards the end of January was swiftly followed by more high tides coinciding with surges at the start of February resulting in more flooding a disruption along the Severn and Wye Estuaries. 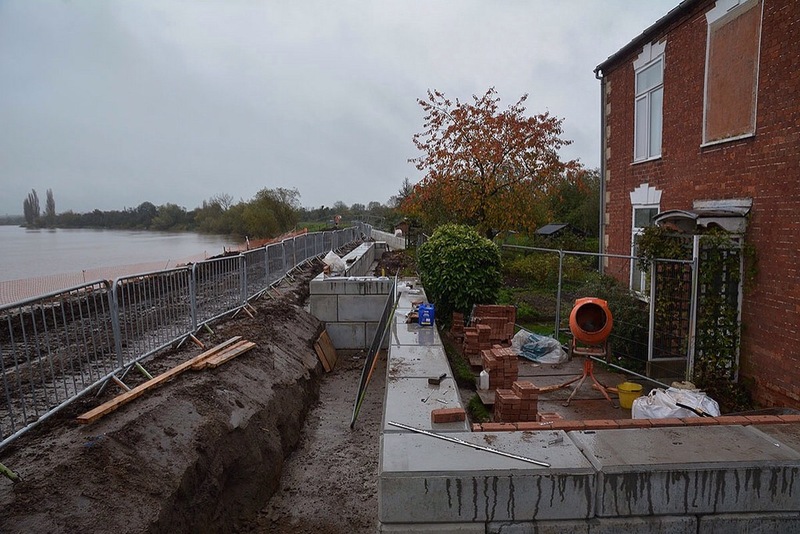 We were growing increasingly concerned about the cumulative effects of high water and wave action on our flood defences on the Severn Estuary and a lot of time was taken making sure that they remained effective. Flooding reached its peak around the middle of February. 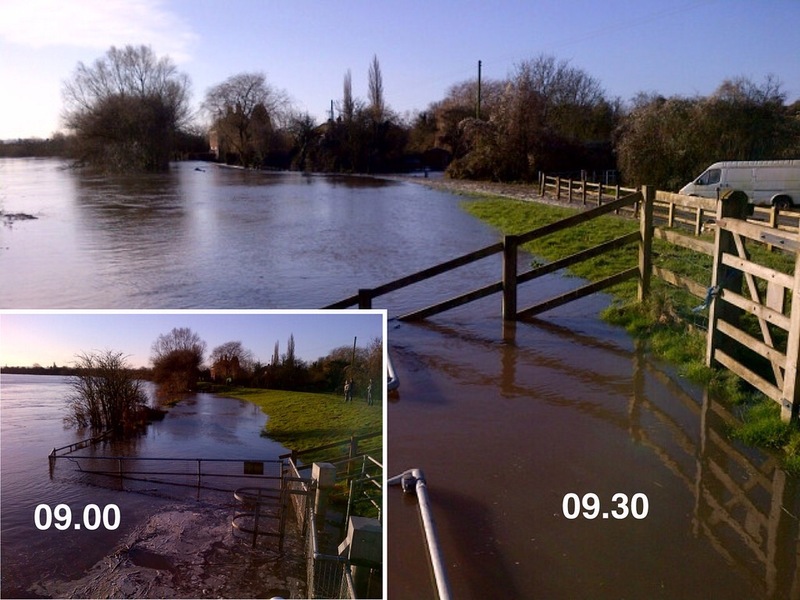 The cumulative effects of two months of exceptional rainfall across the south of England. 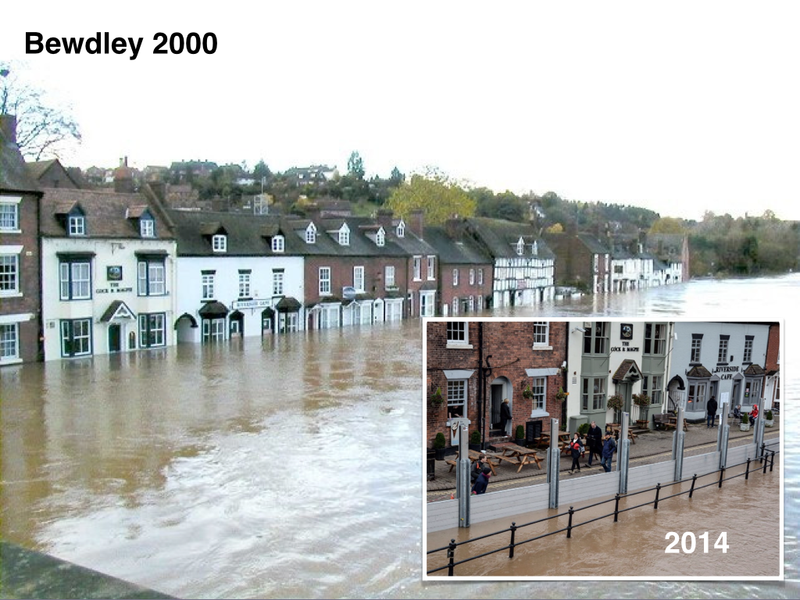 On our patch the biggest problems were on the River Severn from Bewdley to Tewkesbury where levels were the highest seen for over ten years in many locations. 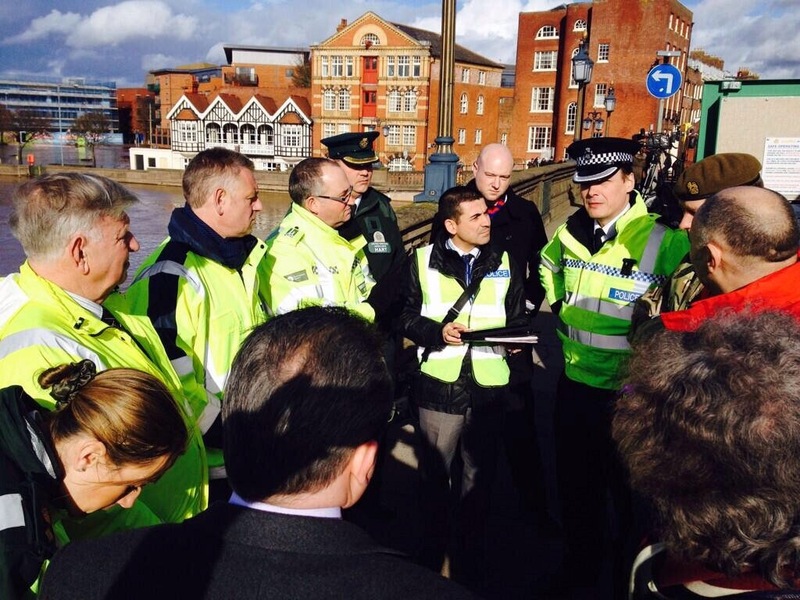 Sadly over a hundred homes and businesses were flooded locally resulting in misery for those affected. 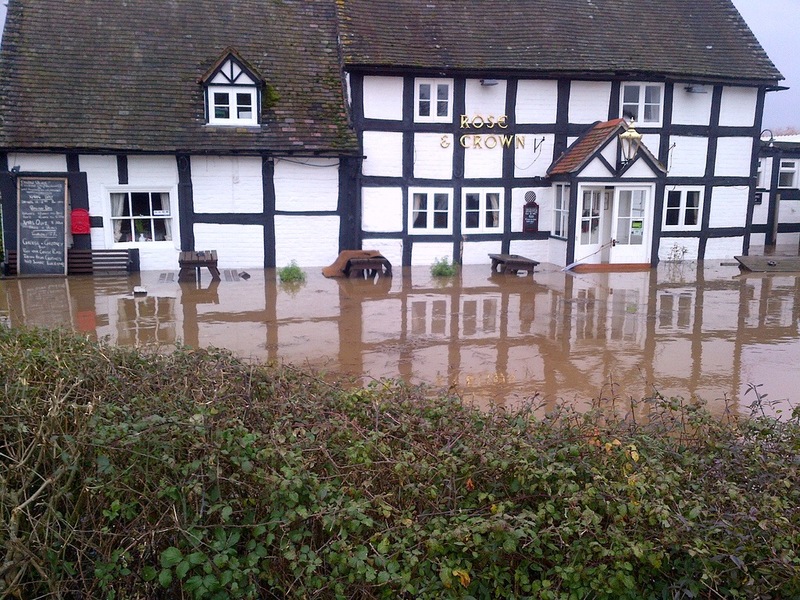 My lasting memory was of the owners of the Rose and Crown pub at Severn Stoke who worked so hard, with the help of the local community, to protect their business from the rising water. Sadly efforts were in vain and they were badly flooded. Heartbreaking. 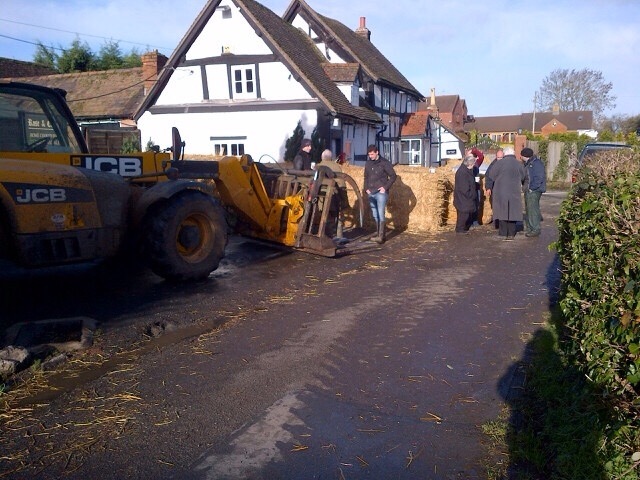 Other communities were also badly affected, including Callow End and East Waterside in Upton. In Worcester many homes in the Diglis area were also flooded. Spending time with flooded home and business owners is a sobering experience and probably the thing that drives me most to do whatever I can to help. 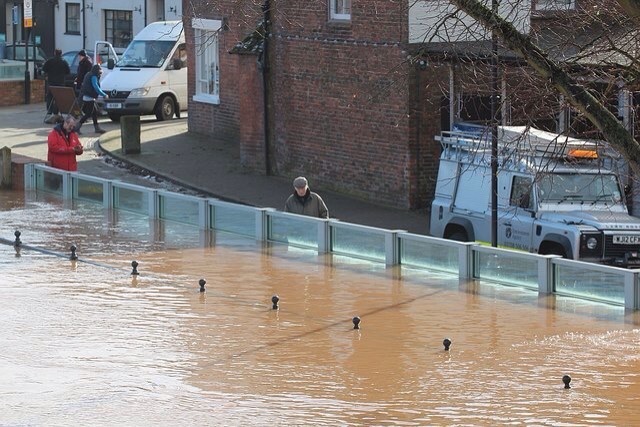 However, the local situation would have been much, much worse if it hadn’t been for our flood defences; most of which had been build since the huge floods of 2007. 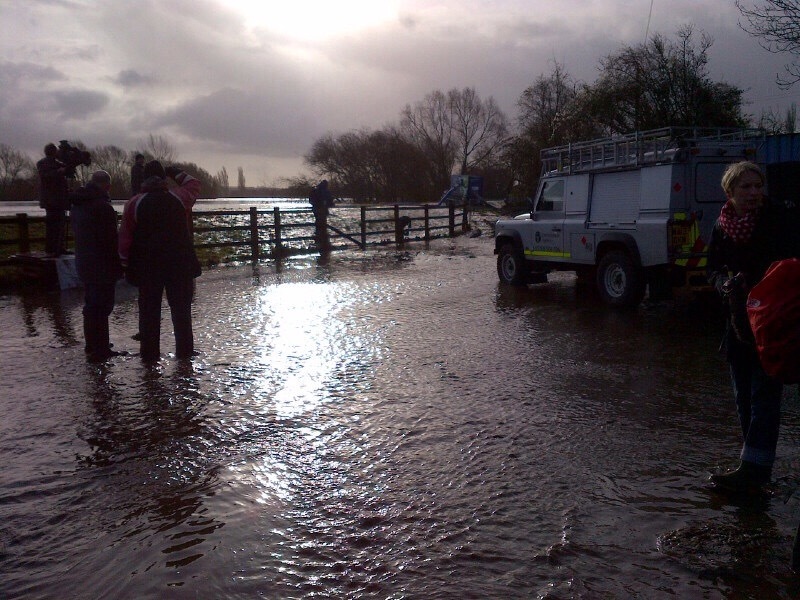 Upton, Pershore, Kempsey, Powick, Bewdley and parts of Gloucester and Worcester would all have been flooded at the levels we experienced. 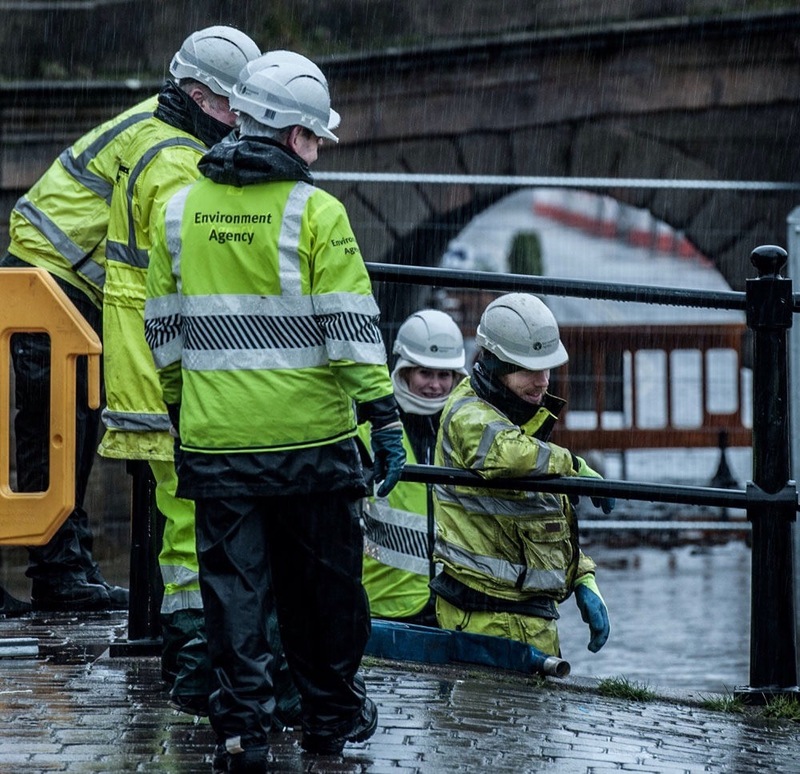 Over 500 homes and businesses in Worcestershire alone stayed dry because of our defences and the hard work of our folk who made sure they were in place and working properly. 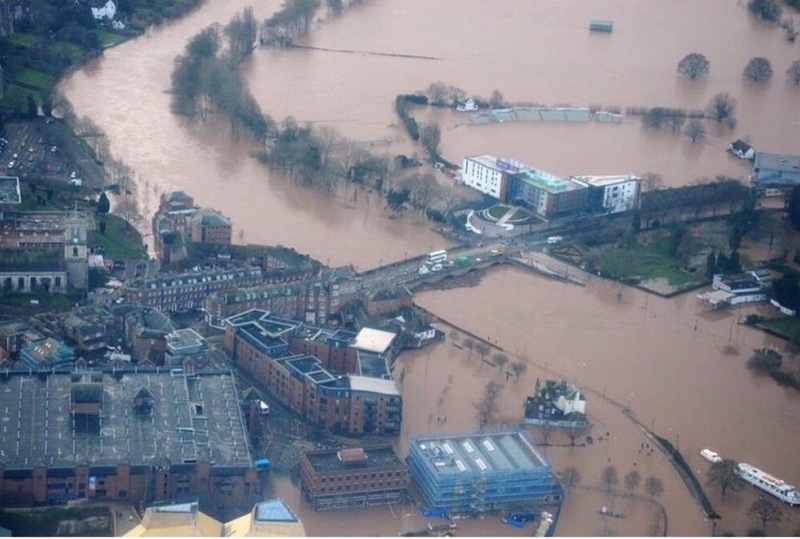 For a few days in mid February, Worcester became the centre of national media attention as water levels neared those of 2007. In addition to the flooding to some homes and businesses the transport network was seriously affected, causing gridlock and concerns for the town’s economy. 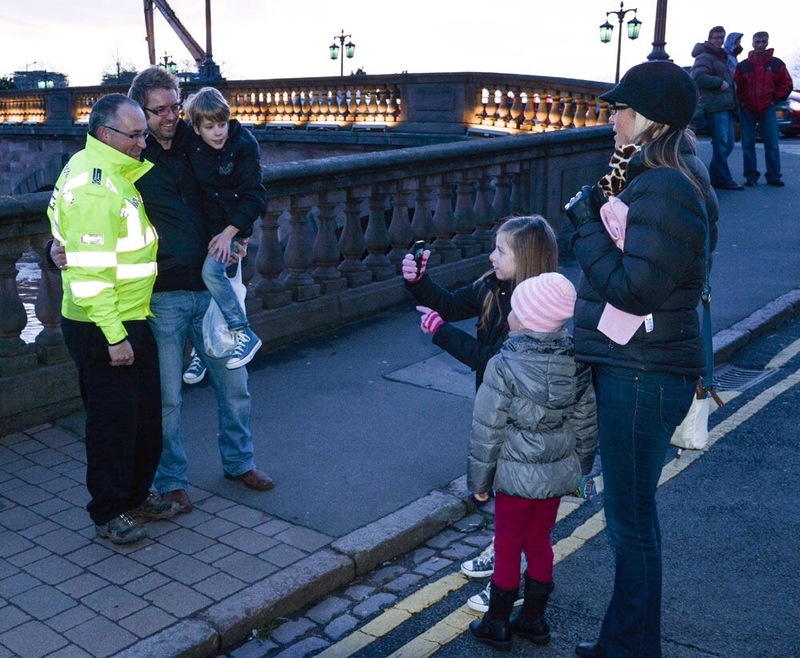 A huge operation involving all the responding organisations (police, fire, ambulance, councils, volunteers and even the army) swung into action to manage the situation and minimise the impacts. I was proud to be part of that response. It wasn’t perfect but I honestly believe it made a real difference. 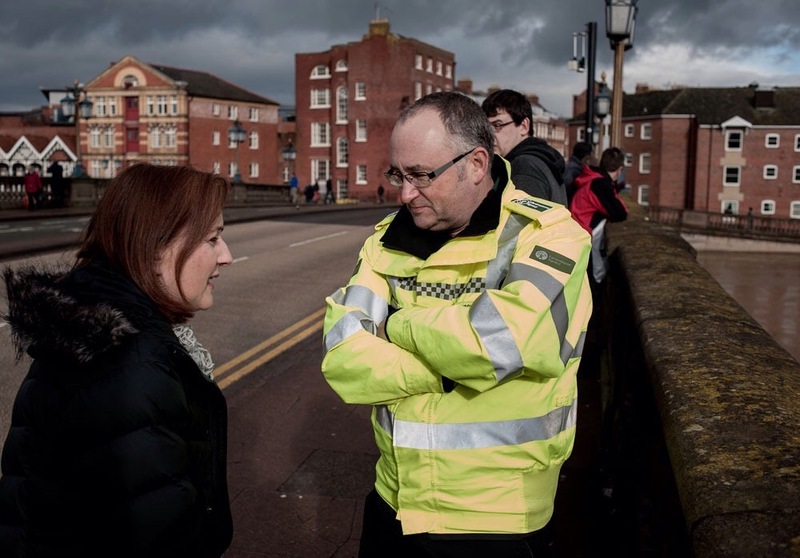 I spent two weeks on and around Worcester Bridge, juggling media interviews, Silver Command meetings and simply being the face of the Environment Agency. 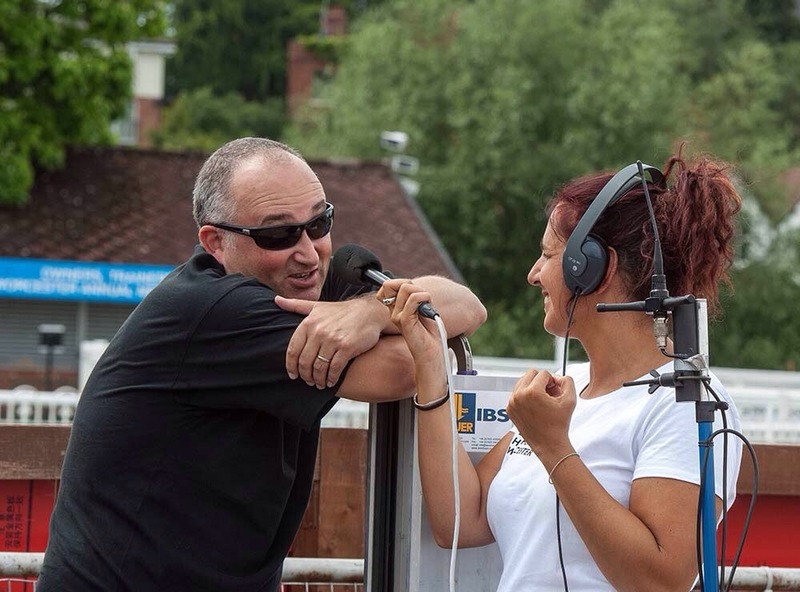 Without doubt the most surprising and bizarre occurrence of the two months was the public reaction to my media appearances and social media ramblings. 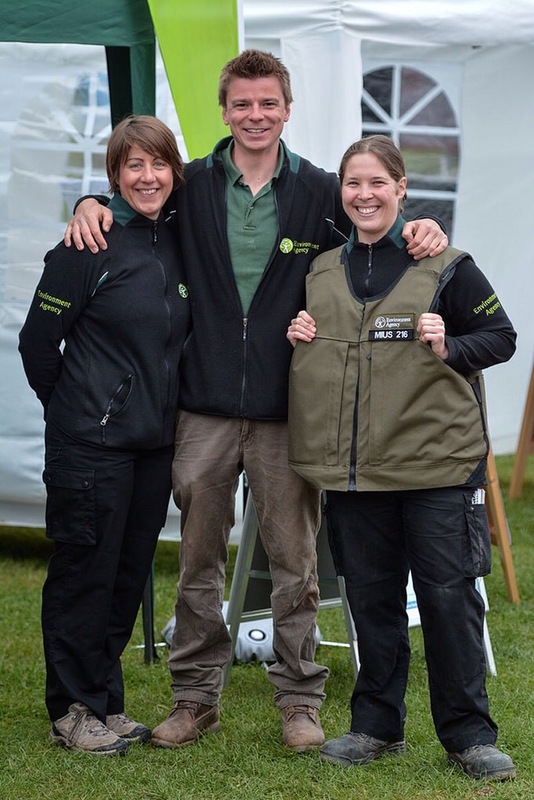 It may surprise you that signing autographs and posing for photos is not part of a normal Environment Agency working day! By the end of February the worst of the flooding was over, although we had one more set of high tides and surges on the Severn Estuary to contend with. It had been a bonkers two months that had stretched us to the limits. 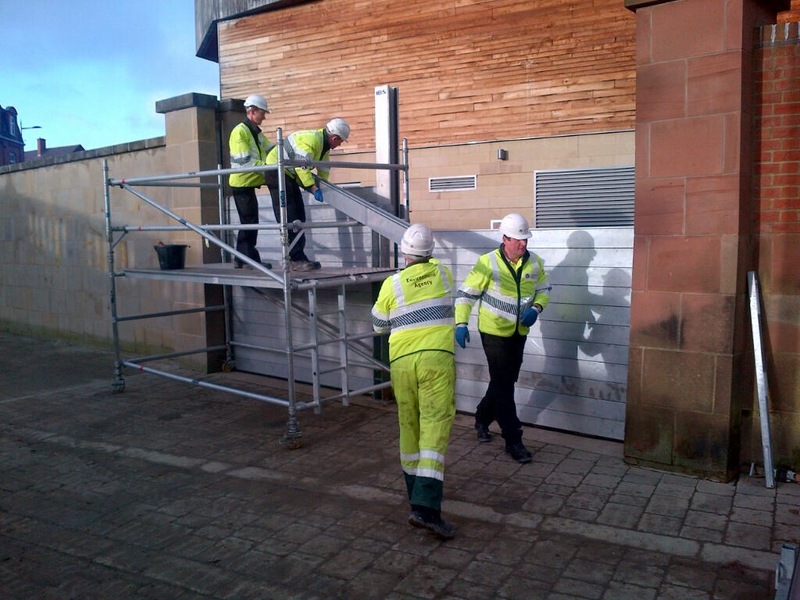 Many of our people had been working solidly in all weathers, in 24/7 shifts since before Christmas. We were knackered! Fortunately, flooding did not return and it wasn’t until the very end of the year that river levels began to rise again. The waters may have been receding but much of March was spent dealing with the aftermath of the floods. Months of high river levels and big flows resulted in debris building up against many bridges and structures. We need to remove these, both to prevent damage to the structures and to reduce the risk of flooding when the waters rise again. They are often also very unsightly and attract many complaints! 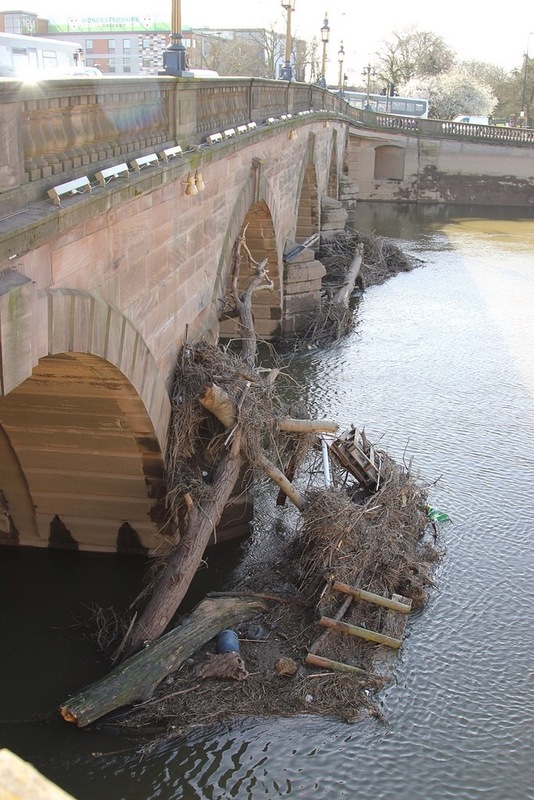 Probably the most high profile of these debris build-ups happens against Worcester Bridge. 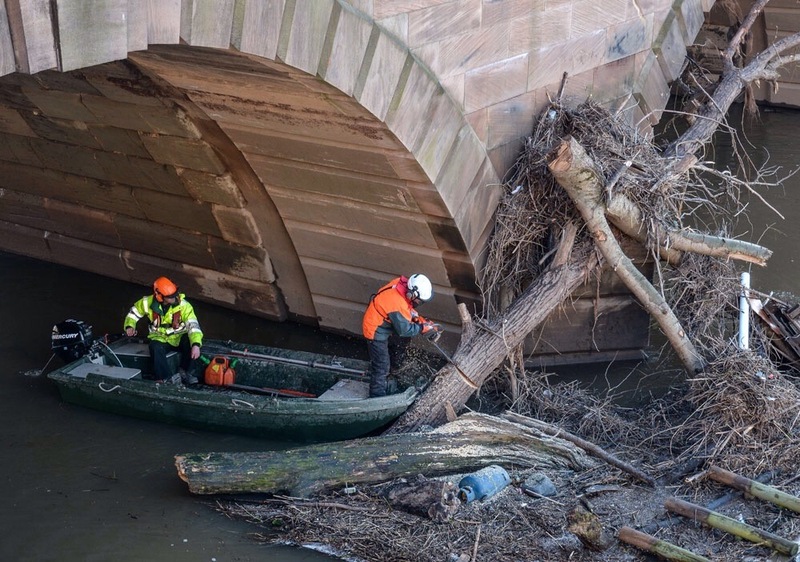 In early March we mounted an operation to remove remaining debris which included whole trees which had become wedged between the arches. This is a really difficult job and I’ve huge respect for our guys who carry it out. Using chain saws, on little boats, in fast flowing water to tackle objects you can only partly see, is one heck of a challenge. But our folk are the best in the business and the bridge (and many others) was left in perfect shape, ready for the next flood! 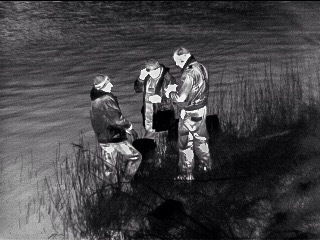 After every flood we have a number of places we always keep an eye on for stranded fish. Sounds strange, but our local flood plains are so big, and the flows so massive that fish often either get washed out or choose to explore the large expanses of flood water. When the water goes down they are left high and dry! 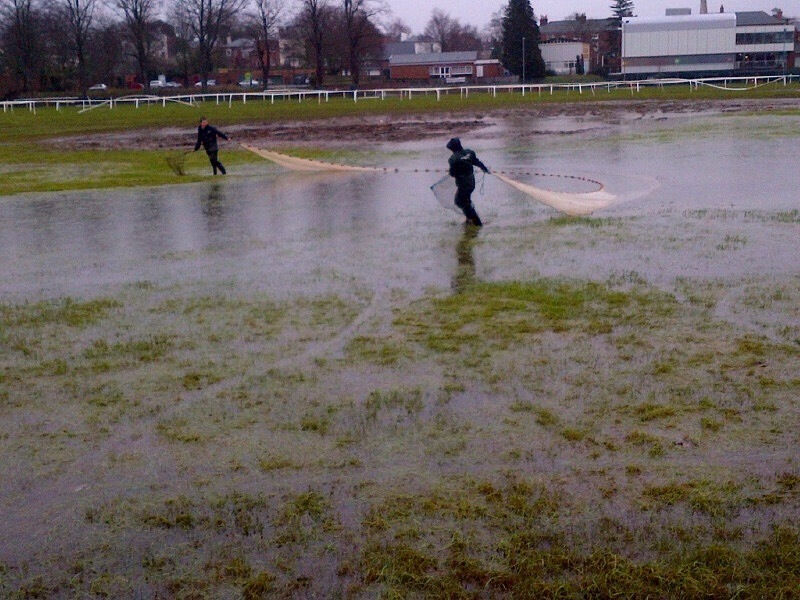 It’s usually more of an issue in summer floods when the fish are more active, so we were quite surprised when one of our hotspots – Worcester Racecourse – provided a good catch. Once we’ve spotted stranded fish we have to wait until the water has almost gone so they are concentrated in a small area. Clearly this is a balancing act as if we wait too long they’ll suffocate or be eaten by birds! 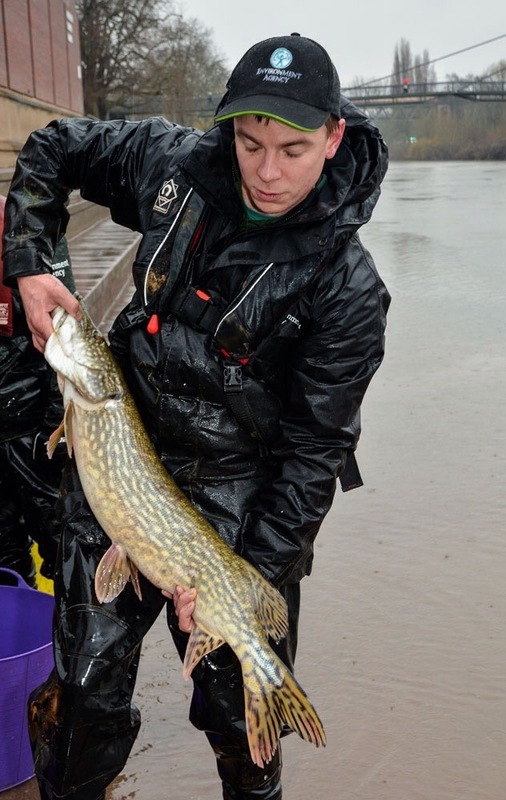 A simple netting operation at just the right time yielded some magnificent pike, bream and roach which were measured and swiftly returned to the River Severn which was now back where it should be! We are able to do this work because of the funding we receive from anglers who buy rod licences. By April things were getting back on an even keel! 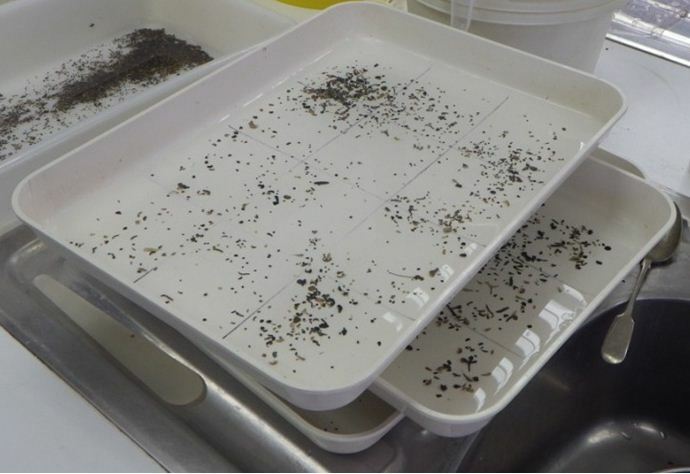 For the second year running there was a massive run of elvers (baby eels) on the Severn Estuary. This is against a background of many years of declining numbers and the reasons for it are not understood. 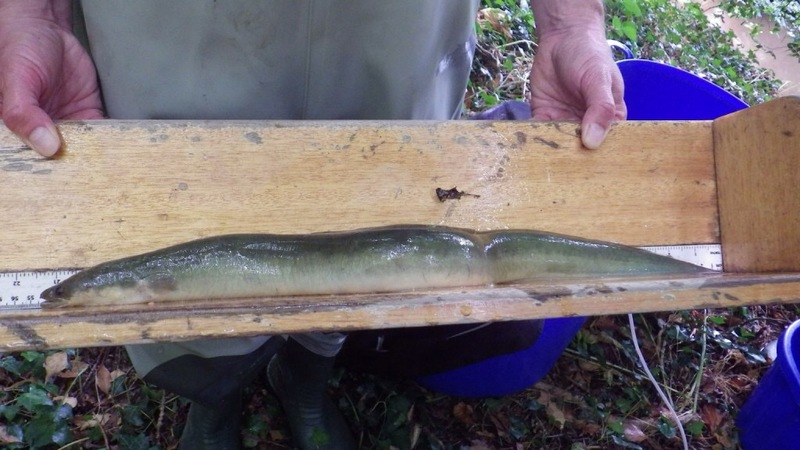 However, it means more eels returning to colonise our local river network so it’s very good news! We spent a lot of time on the high tides in March and April (when the main elver movements occur) making sure that the elver fishers on the Estuary were abiding by the rules of the fishery. 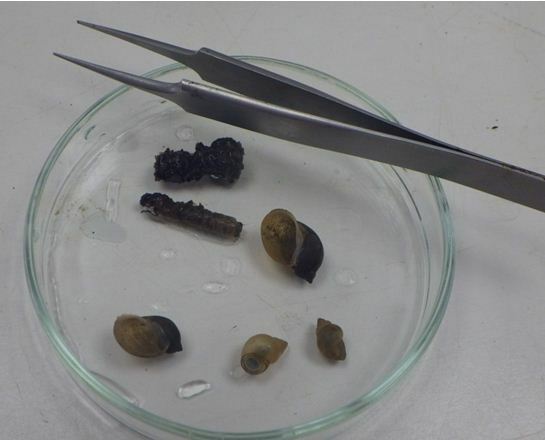 The rules are designed to allow fishing but to limit the amount of elvers that can be taken. 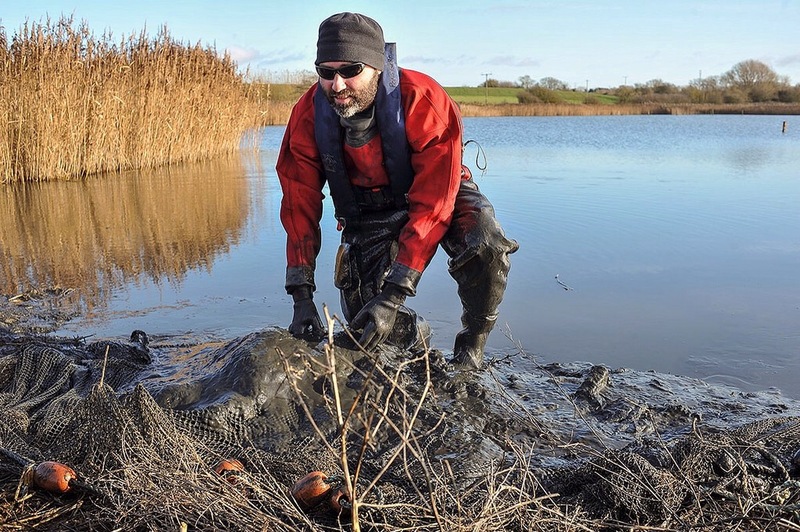 Most elver fishers are very conservation-minded and much good work was done again this year in stocking Estuary-caught elvers further up the river system to assist their migration. 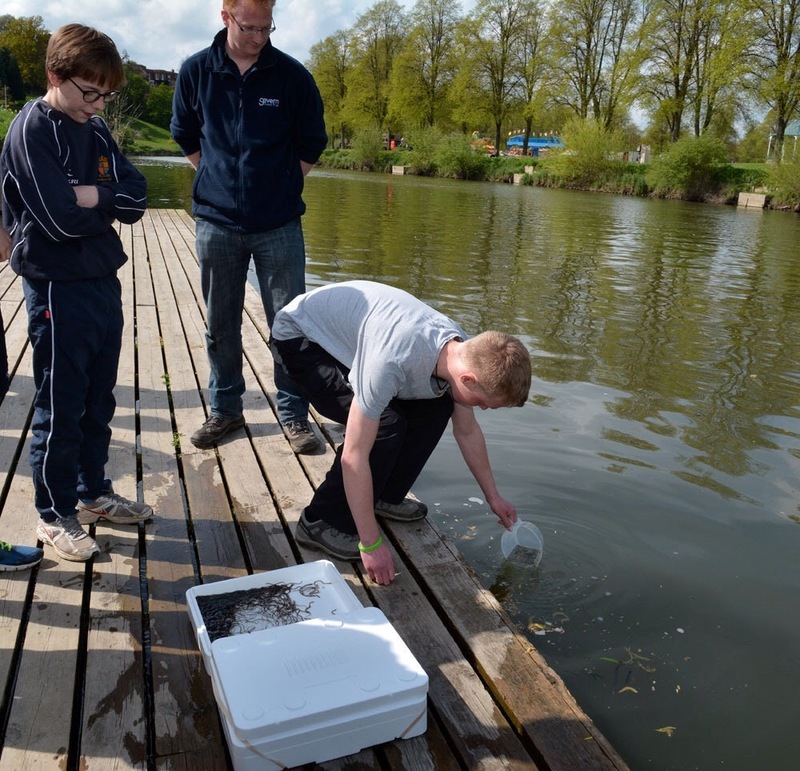 We also had a great day at the superb Cobhouse Fishery near Worcester, explaining our work on local fisheries and offering kids the chance to have a go a fishing. 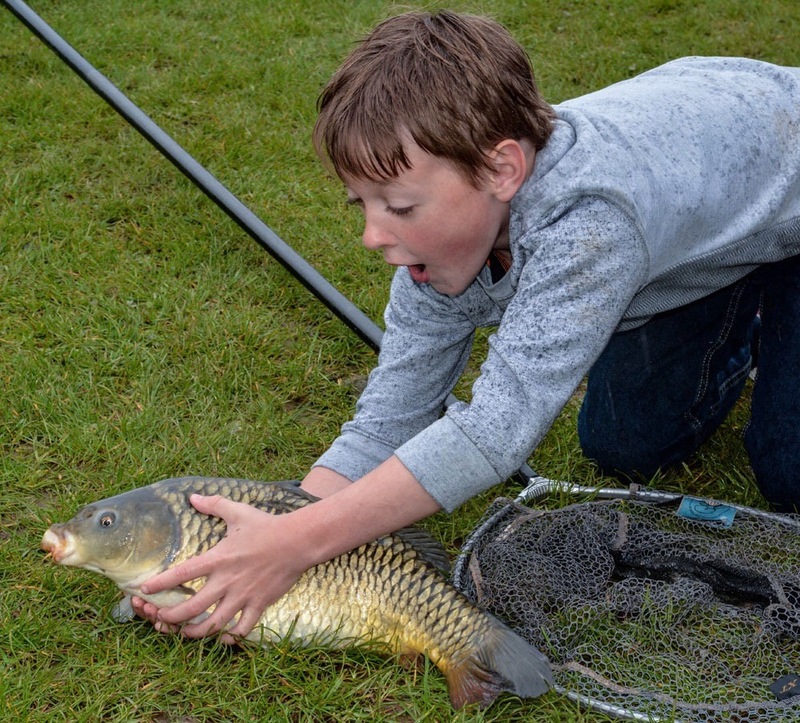 It’s always a pleasure to see how enthused children are when experiencing angling for the first time. Many have never seen live fish outside a tank. We hope that by giving them an early taster some will become hooked! 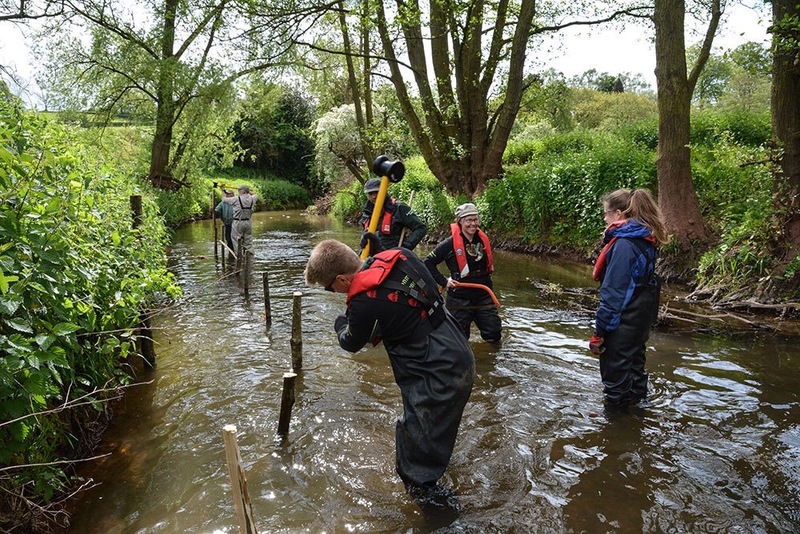 In May we were able to carry out some improvement works to the River Leadon in Herefordshire. The Leadon has suffered a bit over the last few decades. There have been a number of pollution incidents that have damaged the plants and animals that live in it; in some places run-off from fields is putting large amounts of nutrients and sediments into the water; and in others the banks have become bare and eroded offering little in the way of suitable habitat. 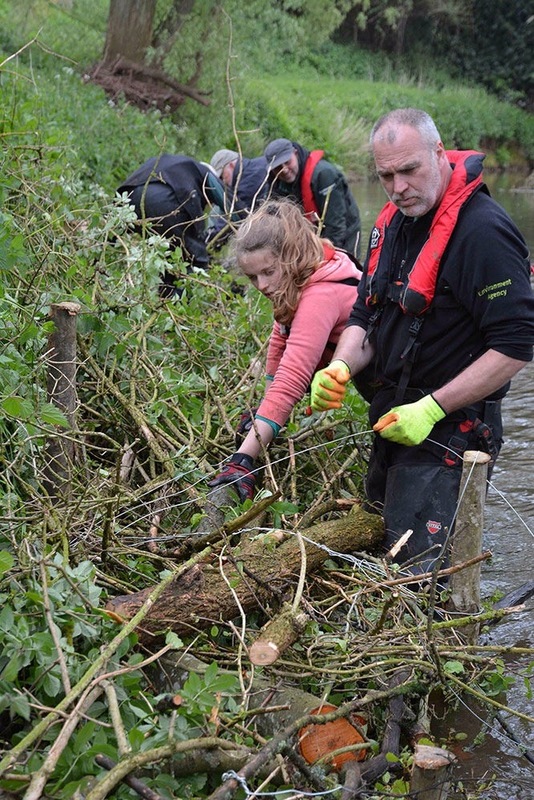 We worked with the Wild Trout Trust and local angling clubs to carry out some practical bankside improvement works. The aim is to work with the natural shape and flows of the river and create the right conditions for better quality habitat (for fish, plants and insects) to establish themselves. 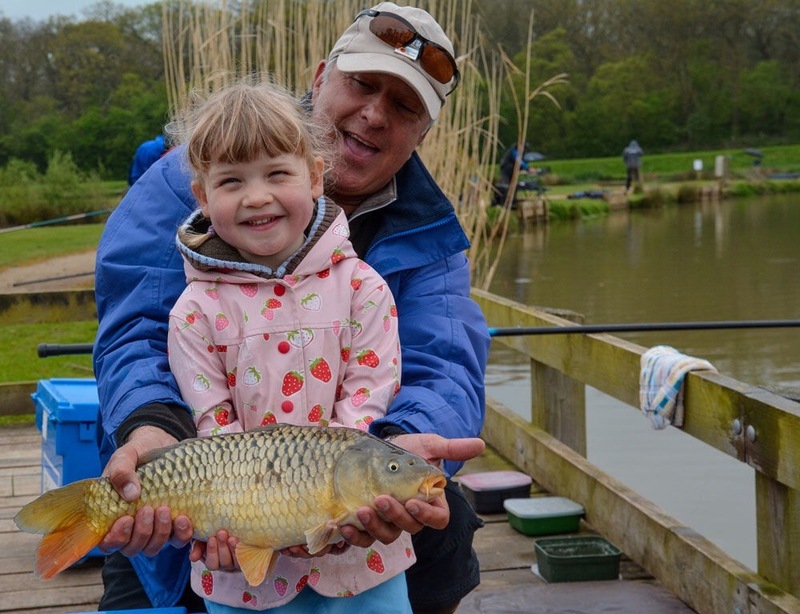 We hope that the angling clubs will be able to put their new skills to good use and create more habitat in future years. Turning around the fortunes of a river like the Leadon is neither simple nor quick, but it is possible and the results are very rewarding. 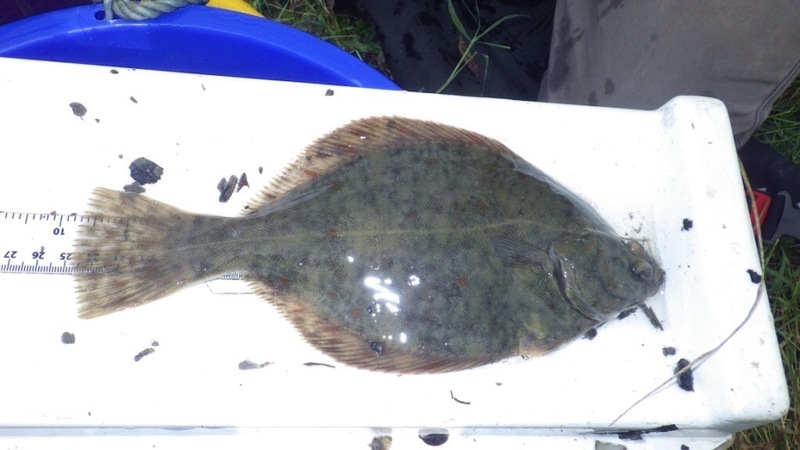 Our fish survey season got underway. 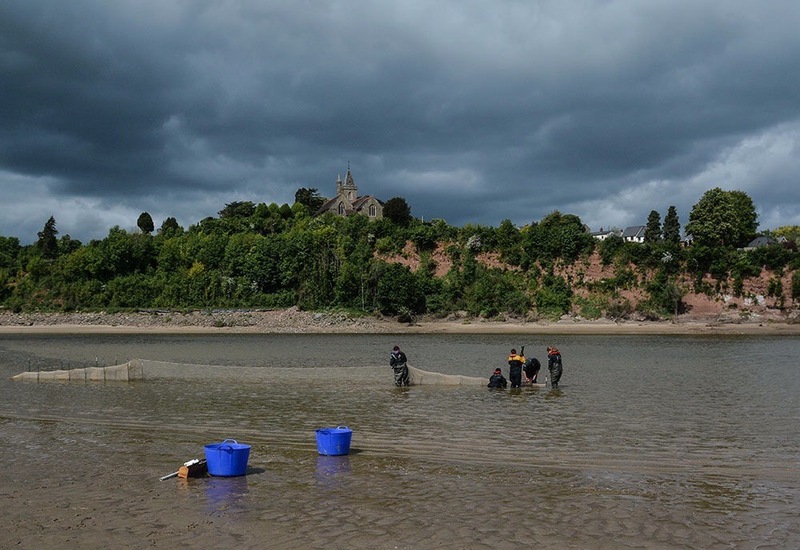 One of the first tasks was the most challenging – catching fish in the mile wide Severn Estuary. For fuller details see my earlier post, but we use a huge conical net called a fyke net which we leave staked in place and allow the tide to deliver fish to us! As you’d expect we catch a mix of sea and freshwater fish. This time mullet and sea bass were the main species with some fine large eels too. 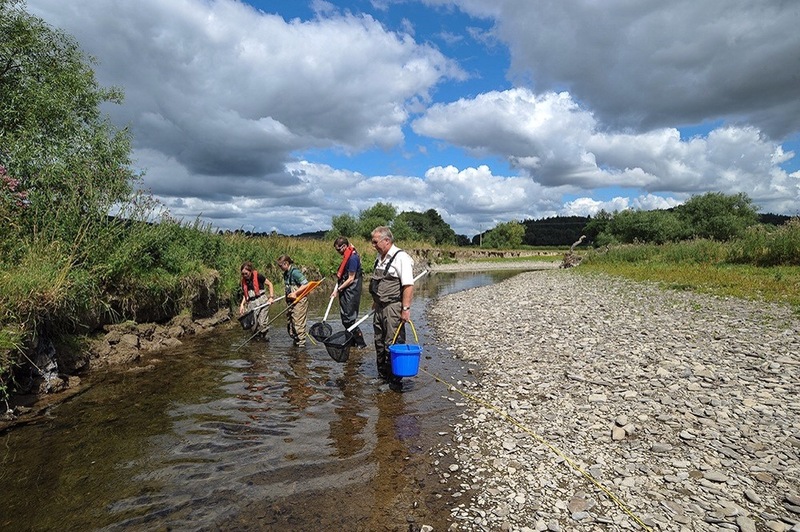 By June our fish survey programme is in full swing (providing there is no flooding!). 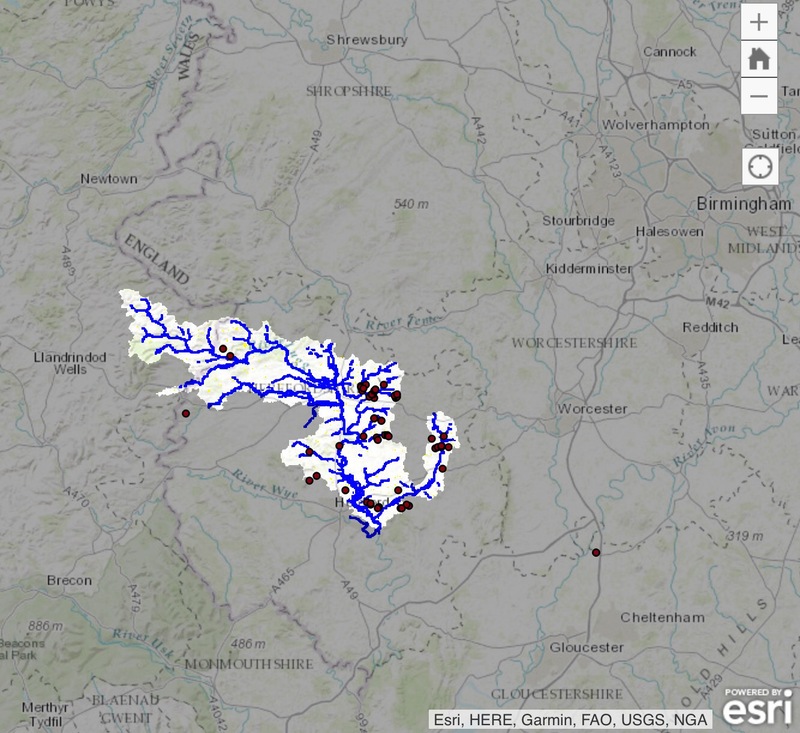 Every year we survey dozens of sites on rivers and streams across the Severn and Wye catchments. 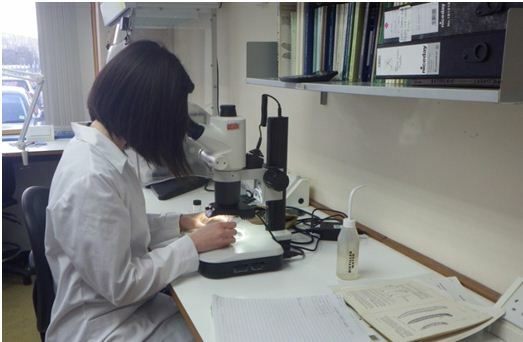 Most of our survey work is done by electrofishing (passing a small electric current through the water to stun fish). We sample all sorts of watercourses, from tiny streams to major rivers. To make sure we can compare the information we gather we survey the same lengths and locations of river. 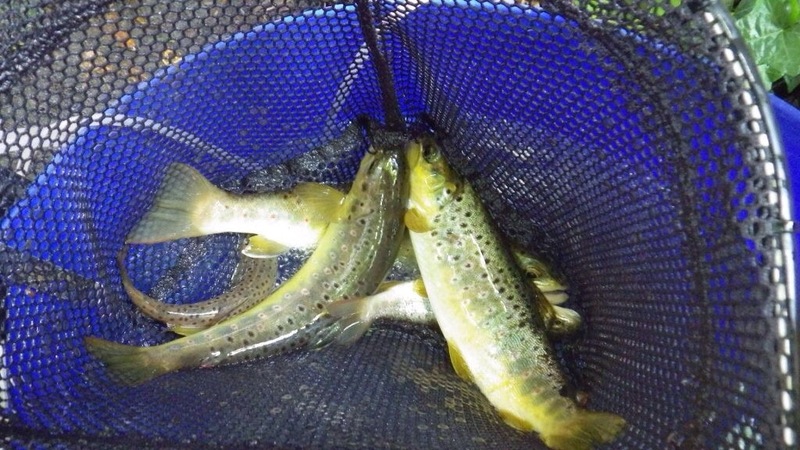 Overall, results during 2014 were very promising with good numbers of fish and a nice variety of species. 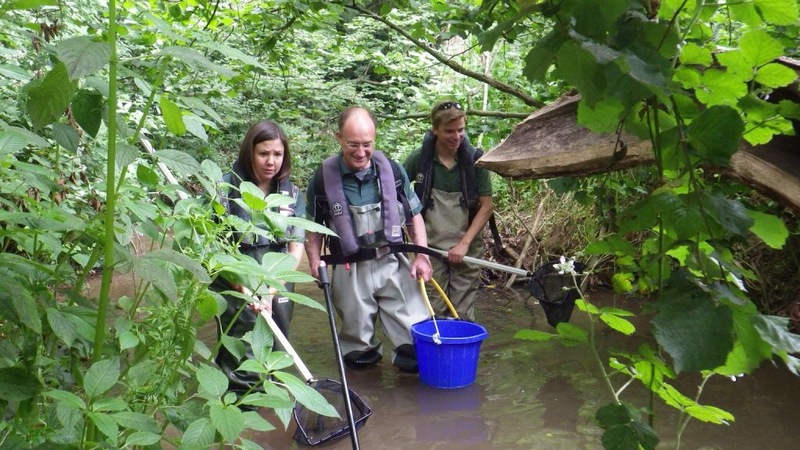 We use the information to assess the overall health of the river and to plan and prioritise future action. We were back in incident mode in July. 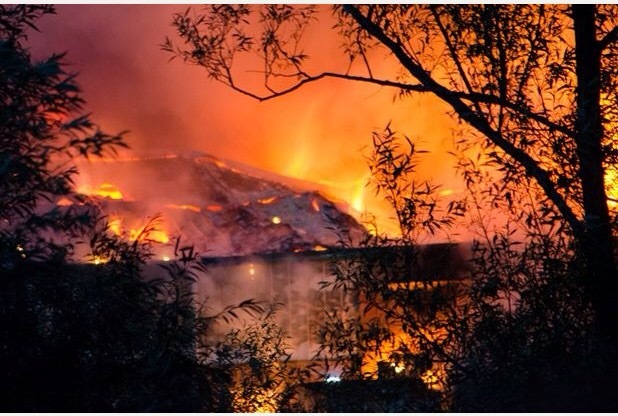 Not because of floods this time, rather a major fire at a factory in Stroud. The huge blaze was swiftly extinguished by our friends at Gloucestershire Fire and Rescue but we were very concerned about the possible impacts of contaminated water (used to put the fire out) escaping from the site. Fire-fighting water is always nasty stuff as it picks up chemicals from whatever is burning, but in this case we had two further reasons to be concerned. Firstly, there were a lot of chemicals stored on the site and we were unsure whether they had been burned and got into the fire water. Secondly, the factory backed directly onto the River Frome meaning the water wouldn’t have to travel far to get in. 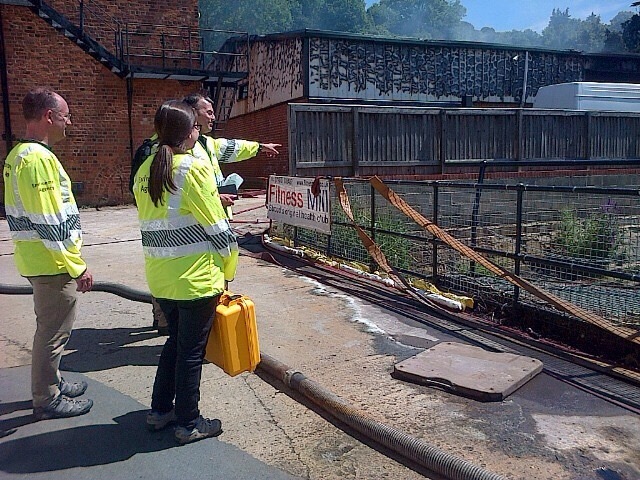 For several days we worked with the Fire Brigade and the factory owners to prevent water escaping from the site as best we could and monitoring the river and surrounding environment for traces of chemicals or damage to wildlife. Some contaminated water did get into the Frome but nowhere near as much as would have without our quick intervention and that of Gloucestershire Fire and Rescue. We continued to monitor for several weeks but fortunately no significant problems were found. 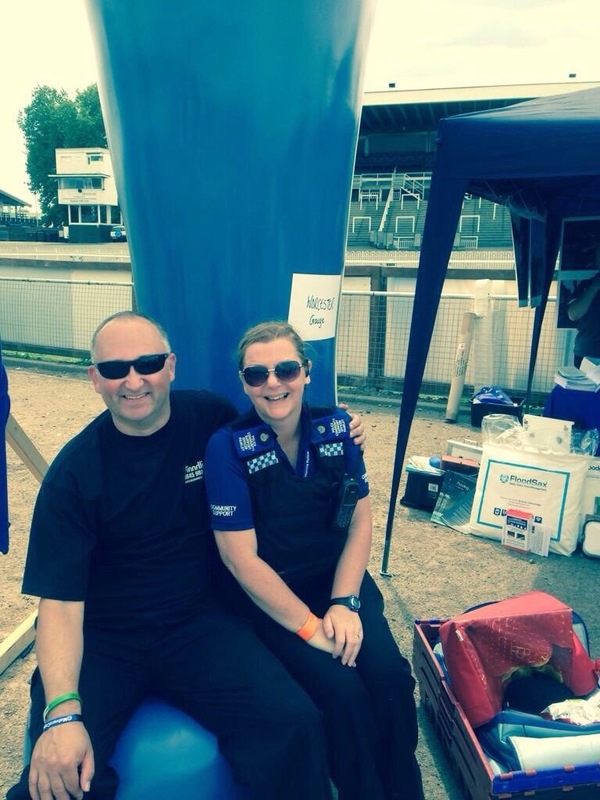 In July we also took part in the excellent SOS Fest at Worcester Racecourse. 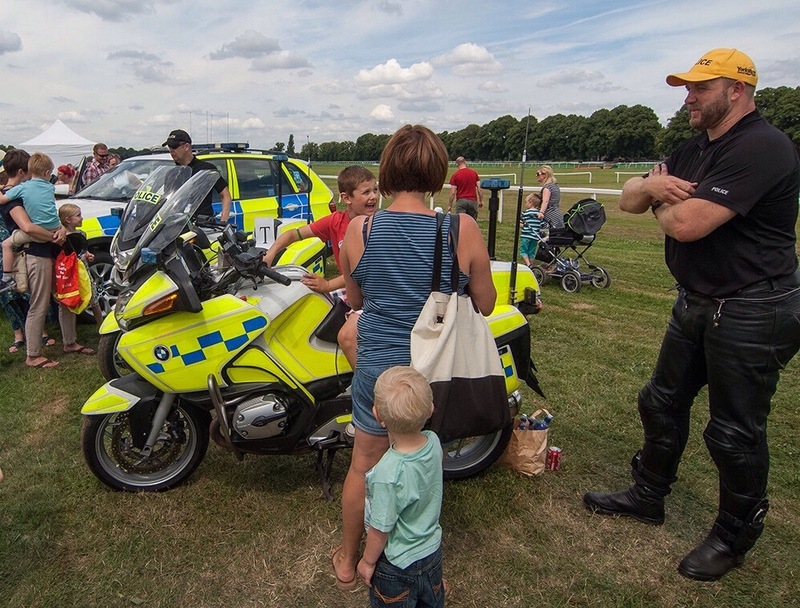 This is an event attended by all the emergency services and is an opportunity for the good folk of Worcester to see some impressive hardware and chat with front line officers. Attendance was superb on a very hot Saturday, with numbers measured in the thousands. We were able to provide lots of advice on flooding and how to avoid it and also to show off our practical skills with the flood barrier challenge. 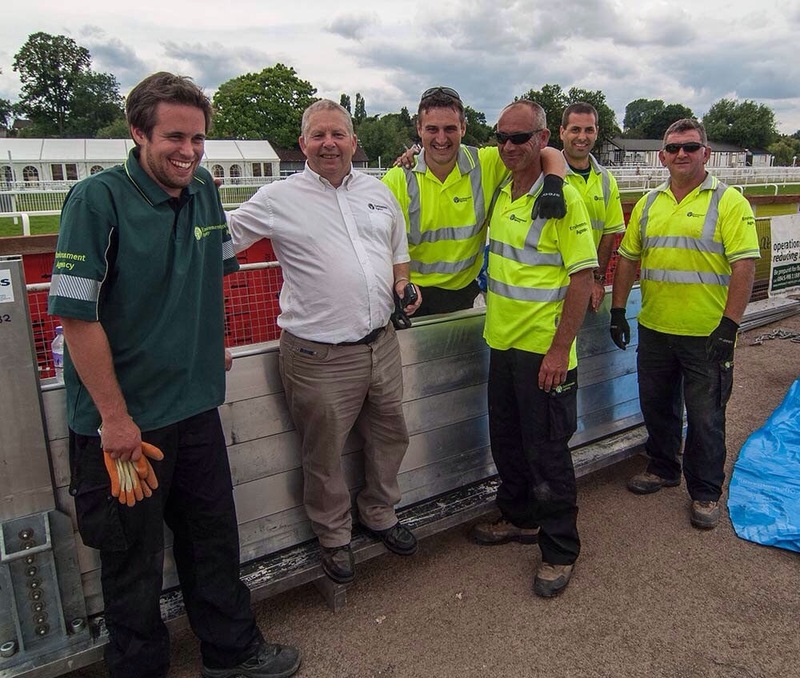 A team of our finest chaps put up a length of flood barrier against the clock. Prizes were on offer for people guessing the time taken. Needless to say it got quite competitive! For me it was a nice opportunity to do some more relaxed media interviews and spend some time with our fellow emergency responders. Ironically in what was a very wet year, by the end of July the top of the River Teme had been reduced to a trickle by a few weeks of dry weather. This is a fairly regular occurrence but causes the problem of large numbers of fish getting stranded in small pools of water that are rapidly drying out. So we had to deploy the rescue team again to catch good numbers of salmon and trout and return them to safer locations downstream. By August the rains had return and the previously dry sections of the river became torrents! Sadly it won’t be floods, fires or fish that I remember 2014 for. 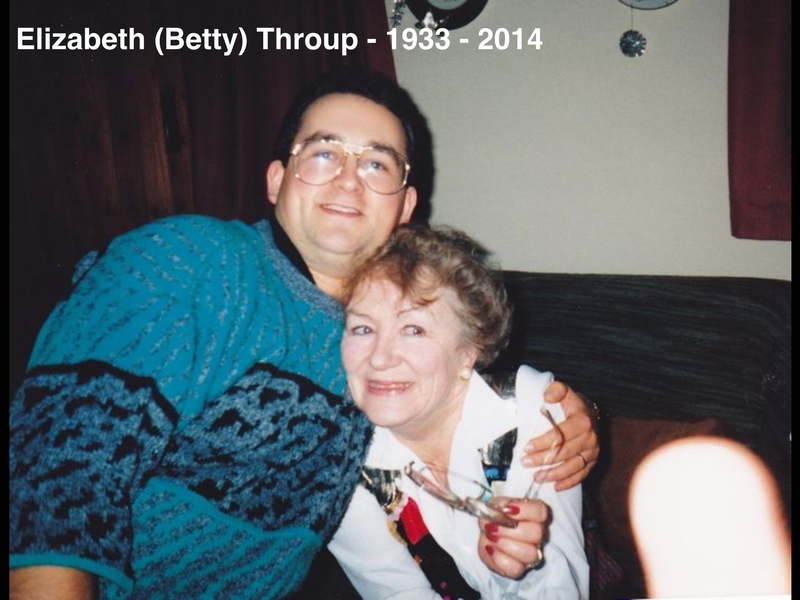 It will always be the year I lost my mum. She died on August 4th after a long battle with cancer. Inevitably most of the rest of the month and much of September for me was about making funeral arrangements and sorting affairs. Immediately after last winter’s floods we carried out inspections of every inch of our flood defences (with help from the army). This was a massive task and took many months. 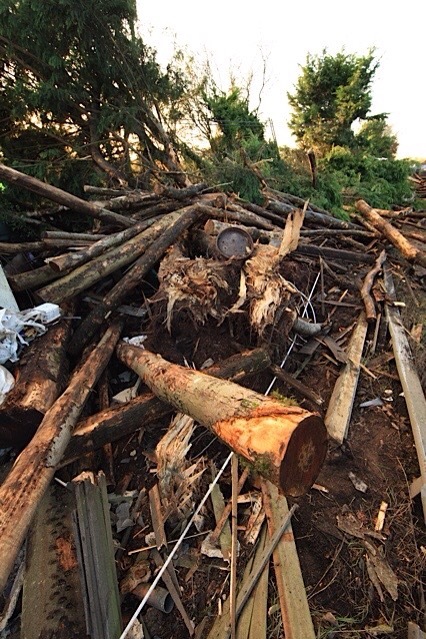 Overall they stood up very well to several months of pounding by record-breaking storms but, inevitably there was some damage, especially in the Severn Estuary. Fortunately the Government gave us some extra money to carry out repairs. By the end of October all of our defences had been restored to full working order, ready for whatever winter 2014/15 throws at us! It was good to visit Minsterworth again (see January/February) and see the repairs nearing completion. October also saw the biggest emergency exercise on our patch for quite a while. It took place at Shrub Hill station in Worcester and re-created a major train crash. 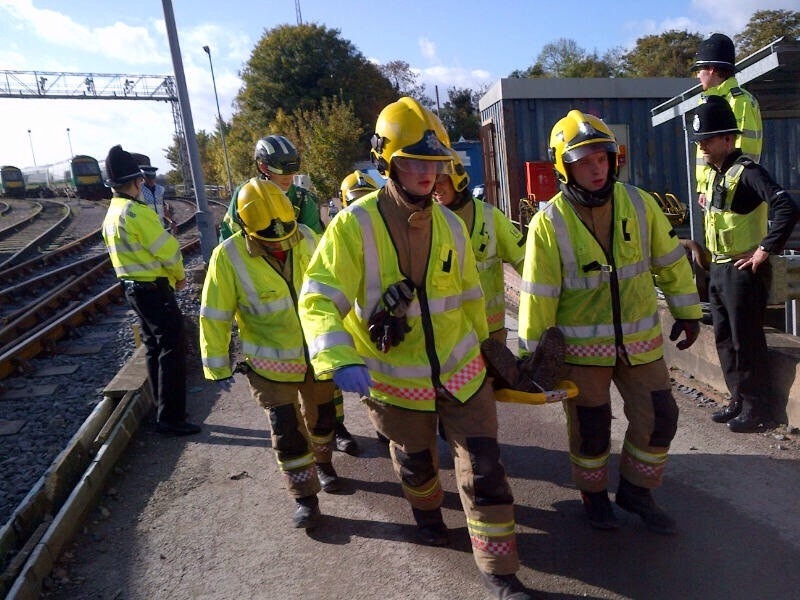 Hundreds of emergency responders took part with loads of volunteers playing the part of trapped and injured passengers. It was certainly realistic with plenty of blood and severed limbs scattered around! It’s very reassuring to see the skills and levels of resources that can be mustered in the event of major incidents. 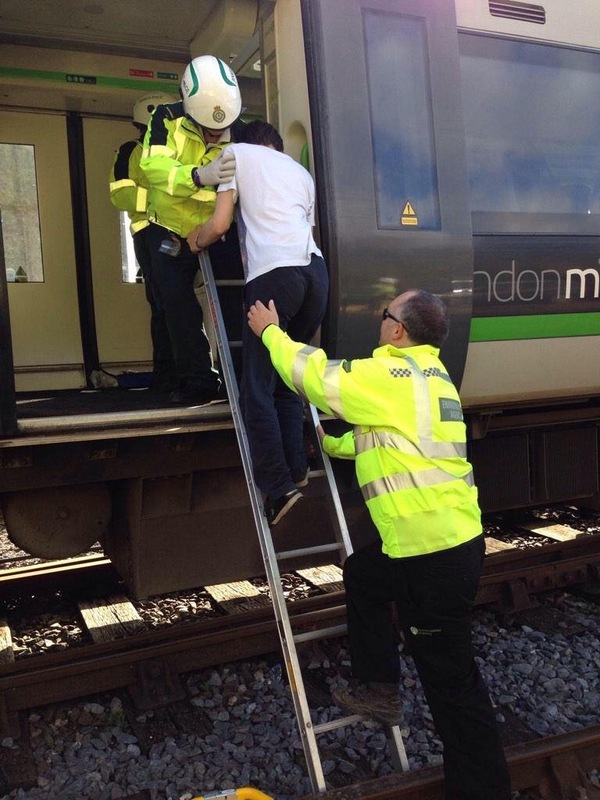 Although only there as an observer I did manage to help quite a few “injured” passengers off the trains! Well, you’ve got to get stuck in, haven’t you! 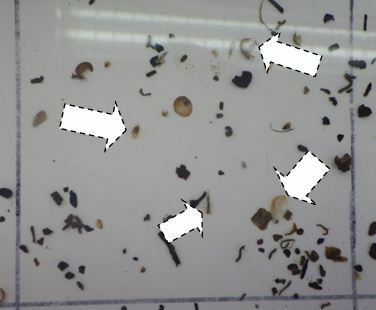 We responded to hundreds of environmental incidents across our patch during 2014. 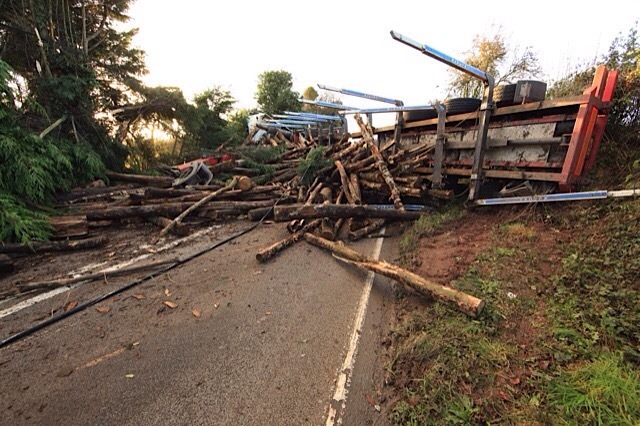 An unusual one happened in November when a large lorry crashed on the main Hereford to Worcester road, blocking it completely and causing traffic chaos. Nowt to do with us you might say, but in this case as the lorry crashed it went through a hedge and demolished a 5000 litre oil tank on the other side. What was left of the tank was buried under a huge pile of debris, making assessment of the impacts somewhat tricky. Fortunately there was no watercourse nearby and the spilt oil could be contained and cleaned up without any significant damage to the environment. More importantly there were no serious injuries despite the carnage. Once again, the incident highlights our close working relationship with other emergency services and the fact you never know what you’re going to get when you’re on duty! 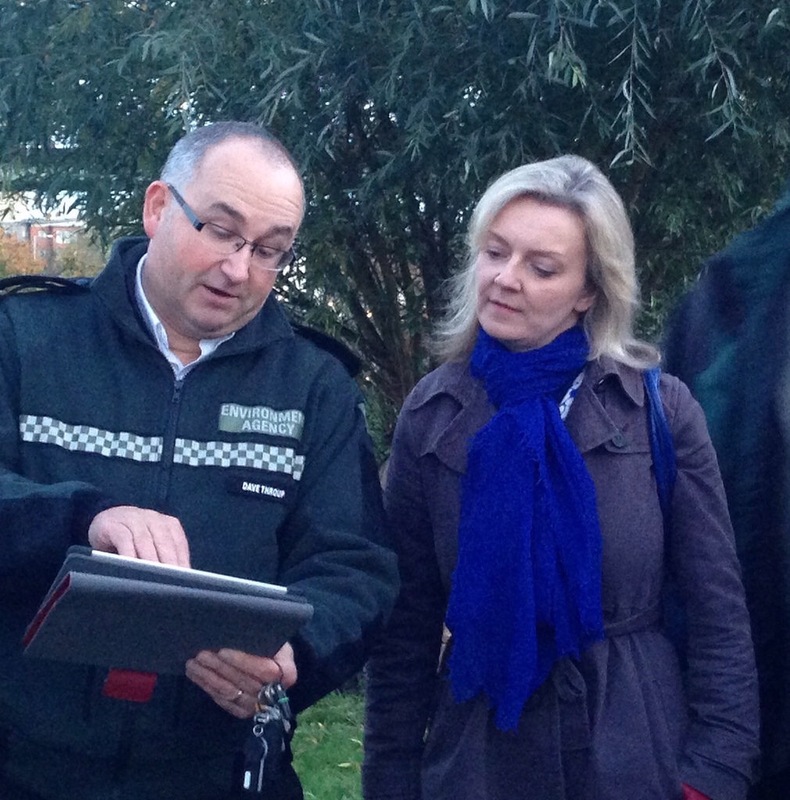 In November, we also welcomed Liz Truss, Secretary of State for Environment, Food and Rural Affairs, to Worcester. 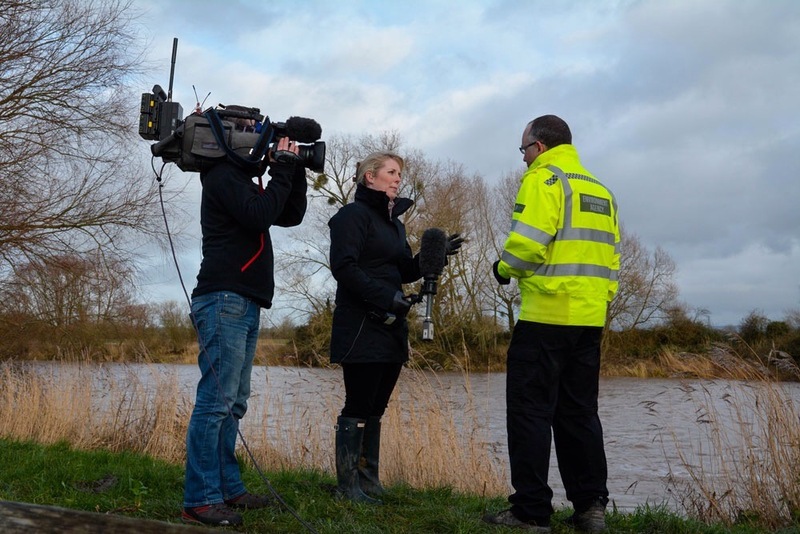 Along with other partners we were able to tell her about the response to flooding earlier in the year, the new flood defences created across Worcestershire and the challenges we all face in the future. Just to show that things don’t always go to plan! 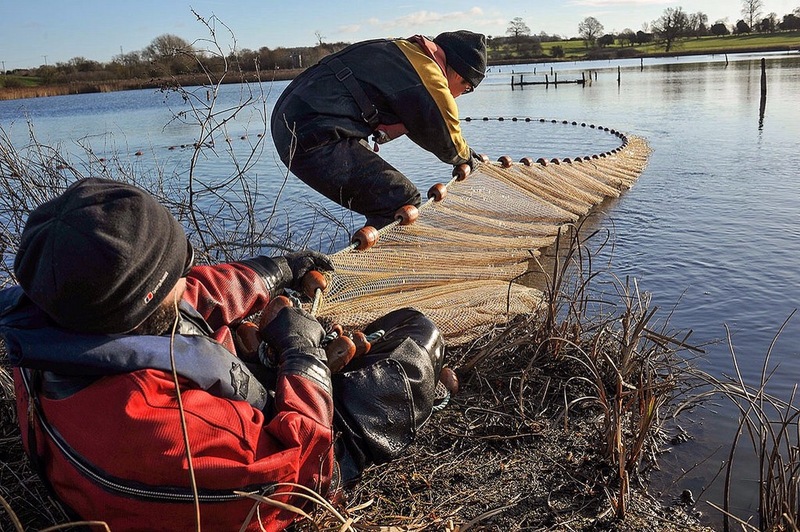 In December we carried out a major fish netting operation at Upton Warren nature reserve near Droitwich. 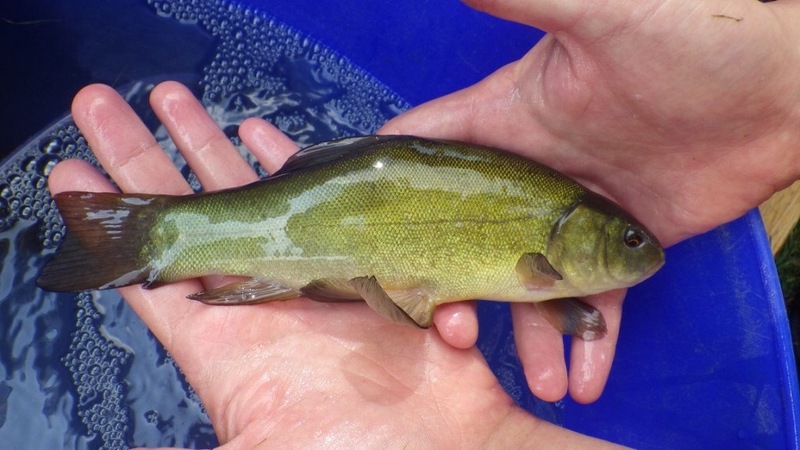 We were working with our friends at the Worcestershire Nature Conservation Trust who manage the site and want to know more about the type and numbers of fish in the pool so they can better plan future management. Word was that the large pool (covering a couple of acres) was stuffed full of fish of all kinds. We were looking forward to a bumper haul. 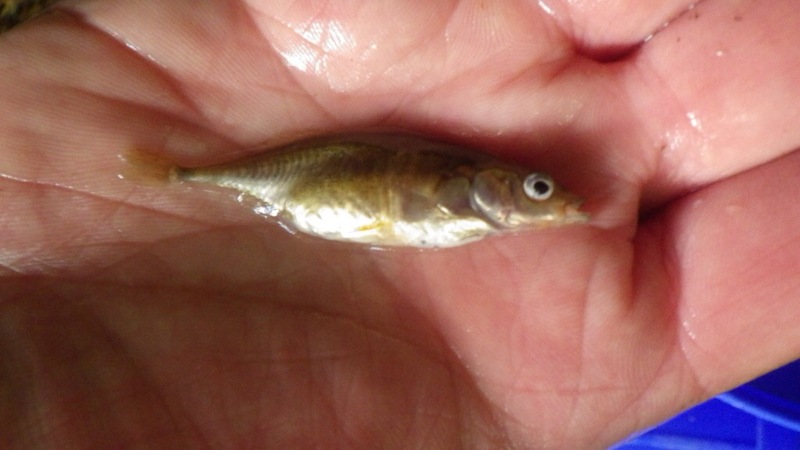 Many hours later, having deployed our full range of nets and netting techniques we had caught a grand total of two fish, and one of those was a stickleback! Our excuses were an unbelievable amount of silt and stinky mud, making access to the water tricky and unpleasant and loads of submerged rubbish, meaning large sweeps of the big nets were impossible. We’re still confident there’s a pile of fish in there – just that we didn’t catch them! By year end we were starting to see the rivers beginning to rise again as soils became saturated and rainfall began to build up. By the middle of the month we had to put up our barriers again at Shrewsbury, being careful to work around the panto timings at the theatre! To our huge relief, Christmas flooding didn’t happen, allowing many of us the first Christmas off in three years. Which was nice! So another eventful year came to an end. What 2015 will bring, I have no idea, but I suspect it won’t be boring! 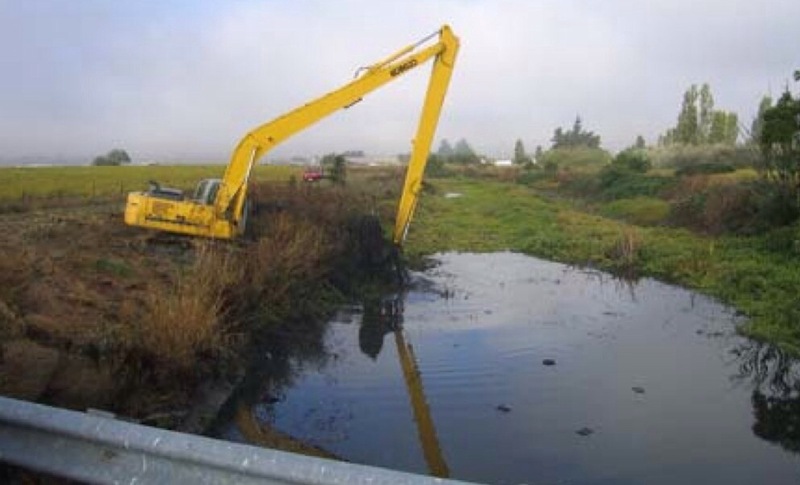 We’ve spent a lot of time pulling up and destroying a pretty water plant at a lake near Pershore in Worcestershire. There is method in our madness as the plant concerned is the creeping water primrose (CWP) which can cause serious havoc if left to spread. 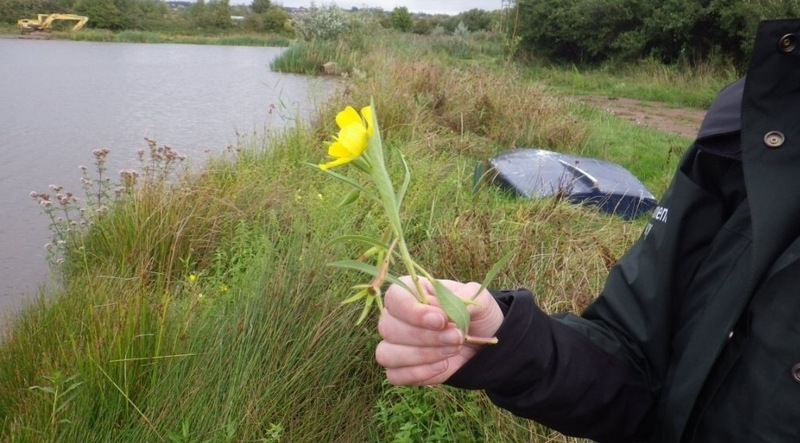 Also known by its scientific name Ludwigia peploides, it is one of the most wanted on a growing list of plants and animals that are getting established in Britain and have the potential to cause serious damage to our native wildlife and ecosystems. 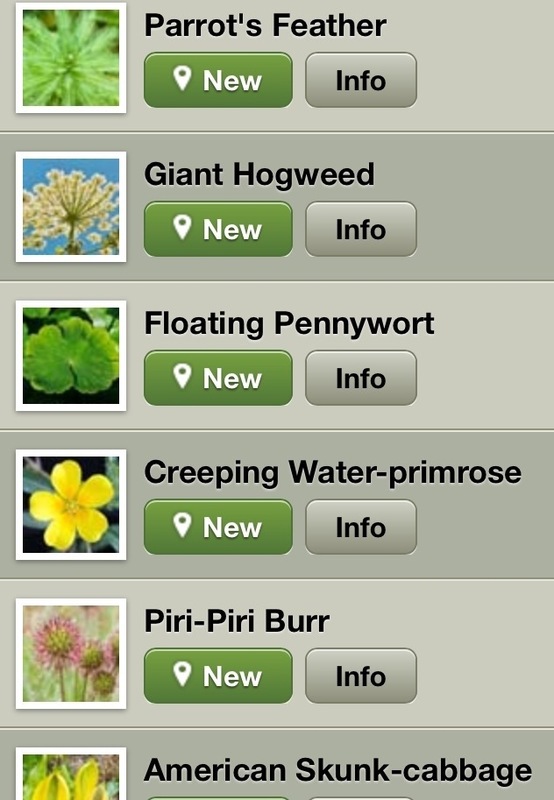 Collectively they are given the scary title of non-native invasive species. CWP real home is in south America but it has been used widely as an ornamental plant in garden ponds and amenity pools. However, it has spread from some locations into the local environment where it has become established and very successful. In many places it is able to out-compete native plants and forms a dense blanket. Not only does this mean that large areas are not available to native plants and animals, CWP can also entirely cover large pools, streams and rivers, making them unavailable for recreational activities but also significantly raising flood risk. In France where CWP is widely established millions of Euros are spent trying to control the impacts, while in California a large eradication programme is costing between $6-30,000 per acre to remove it mechanically. Fortunately , in Britain CWP is not widely established and is limited to a handful of known locations. We are very keen to keep it this way and are therefore putting considerable efforts to eradicate it where we know about it. Where it is only present in relatively small amounts we can pull it up by hand and destroy the remains. We have to be very careful and thorough as the plant is highly effective at propagating itself from fragments that remain (or worse spread by the pulling process). We will have to keep visiting the sites for several years to ensure it is not returning.